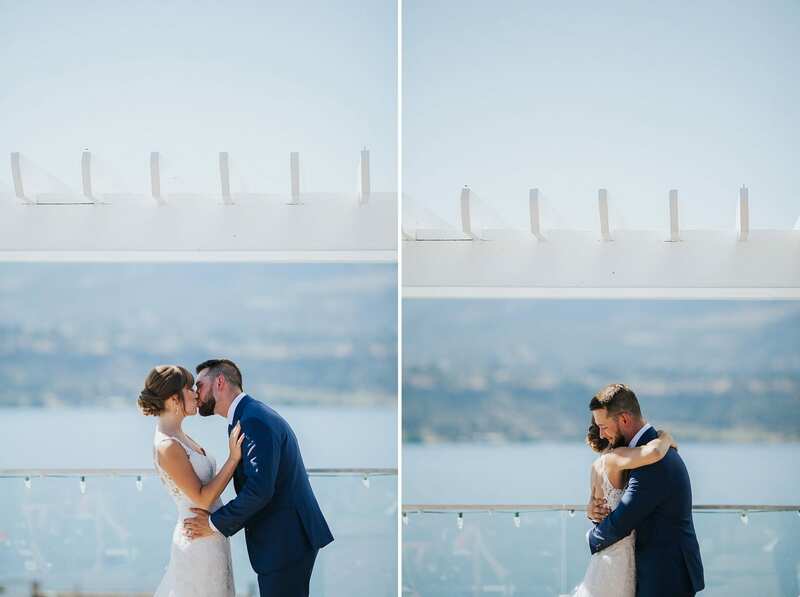 A bright, sunny day and a wedding on the rooftop. 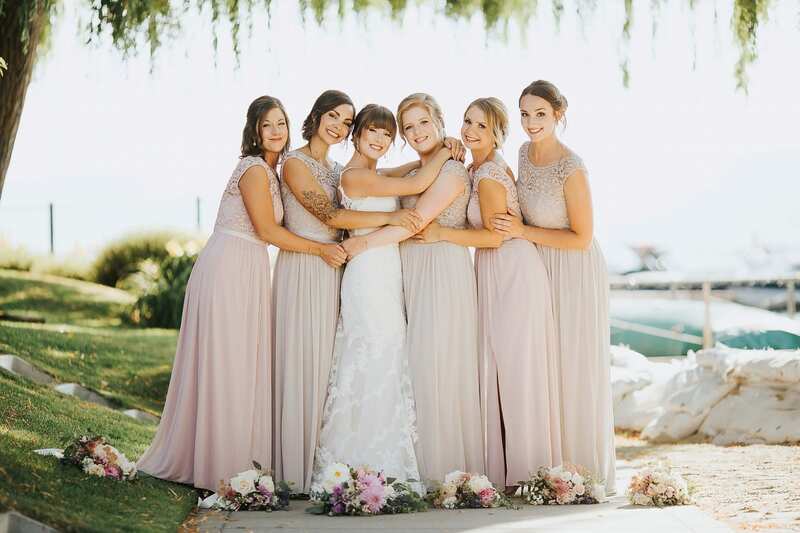 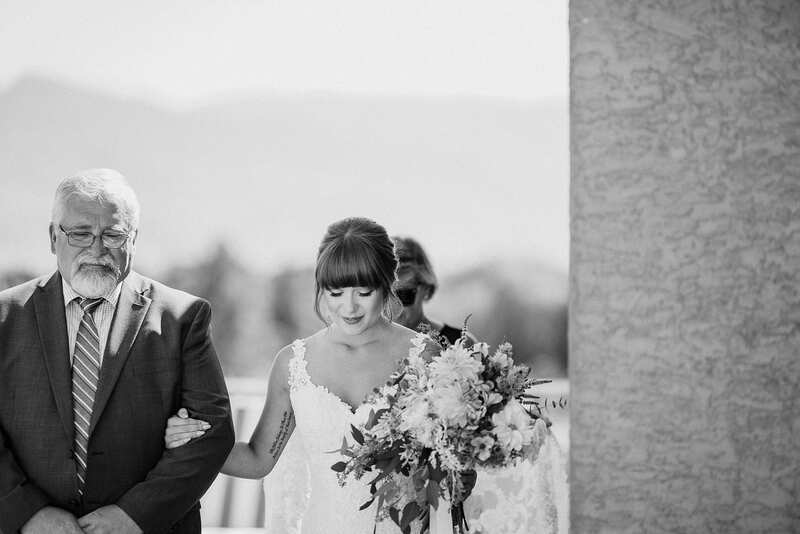 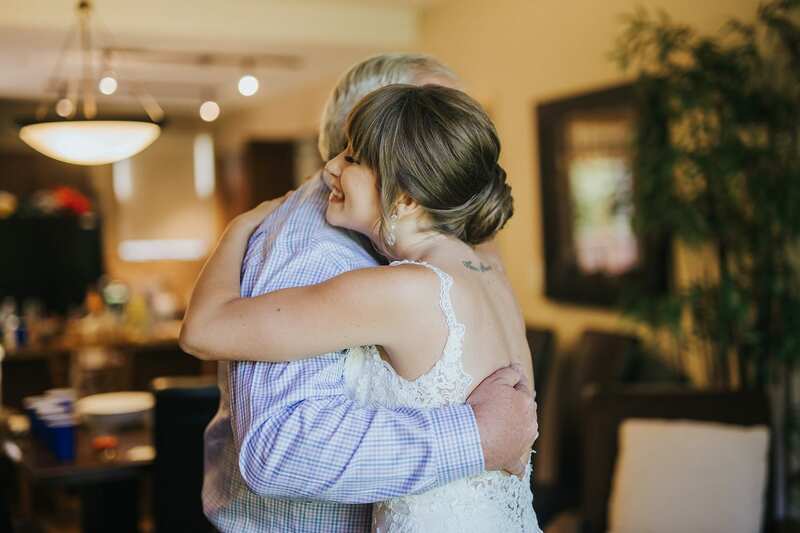 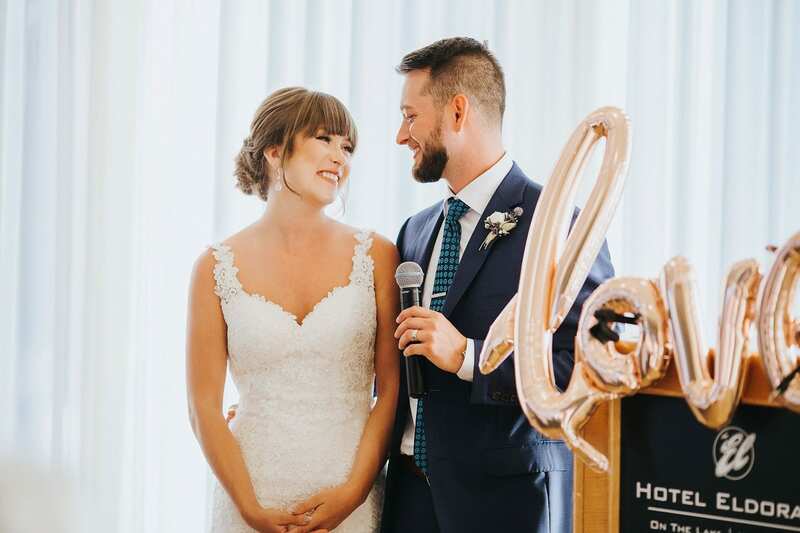 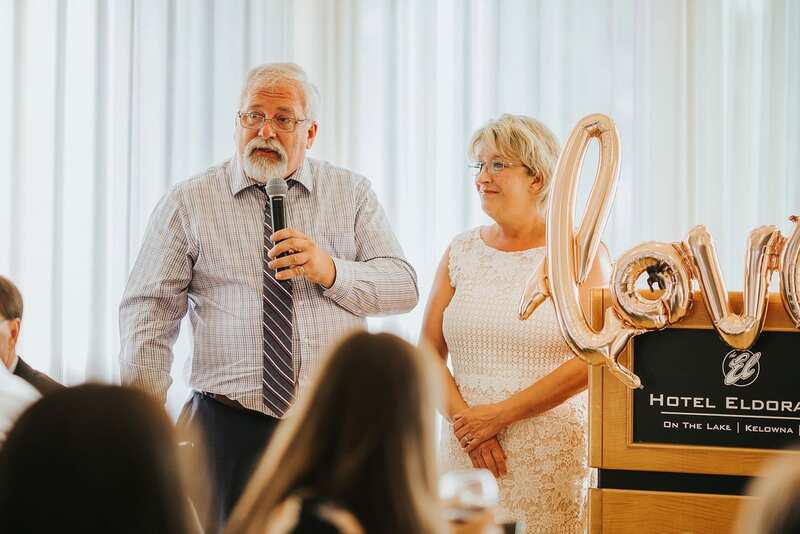 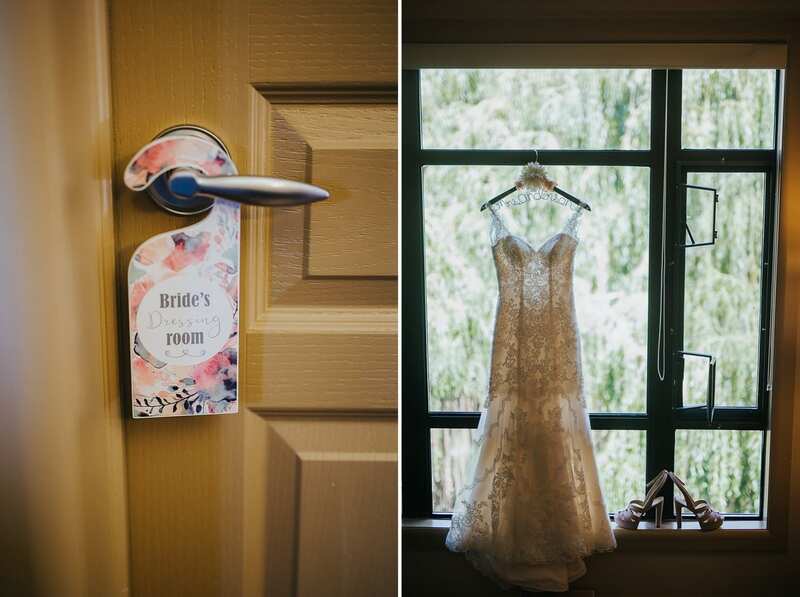 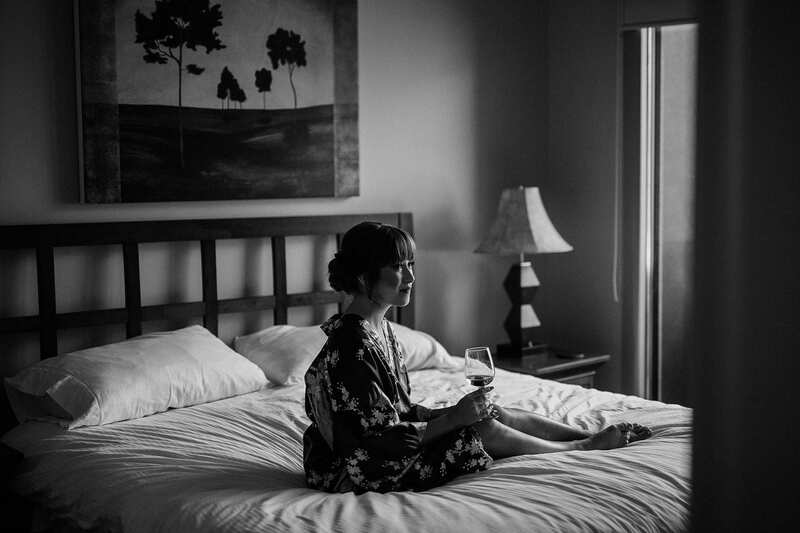 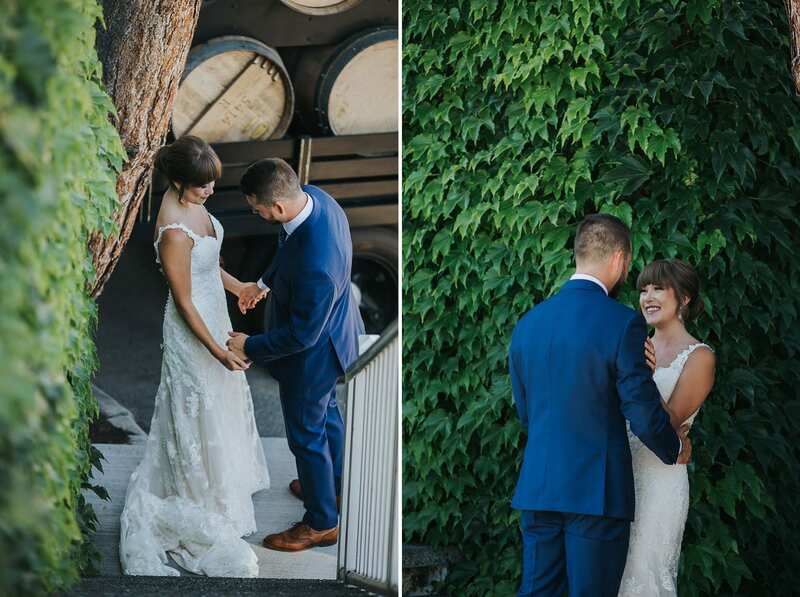 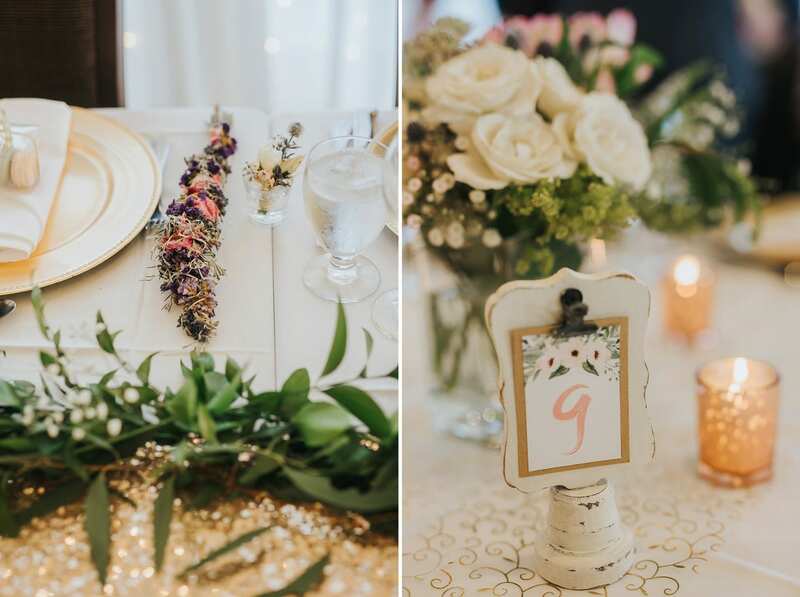 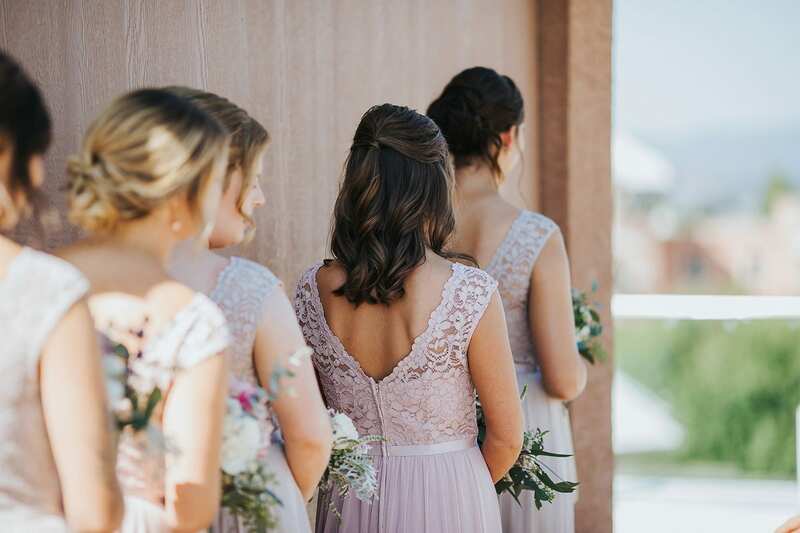 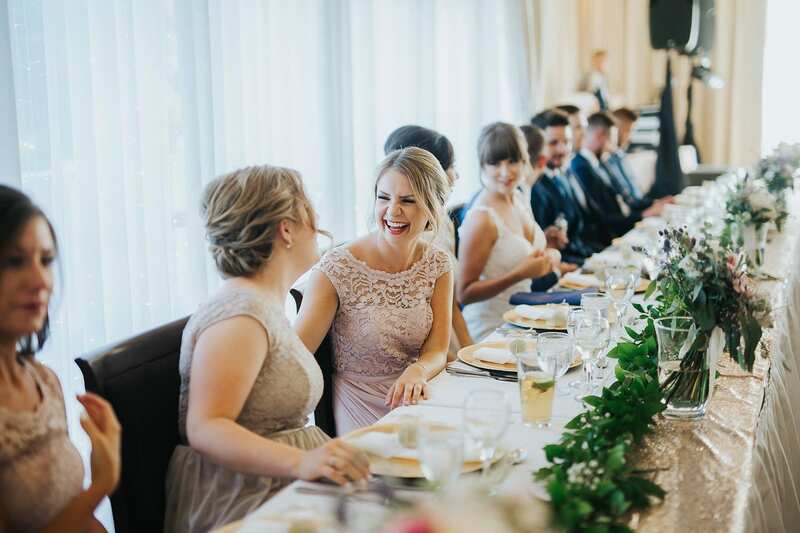 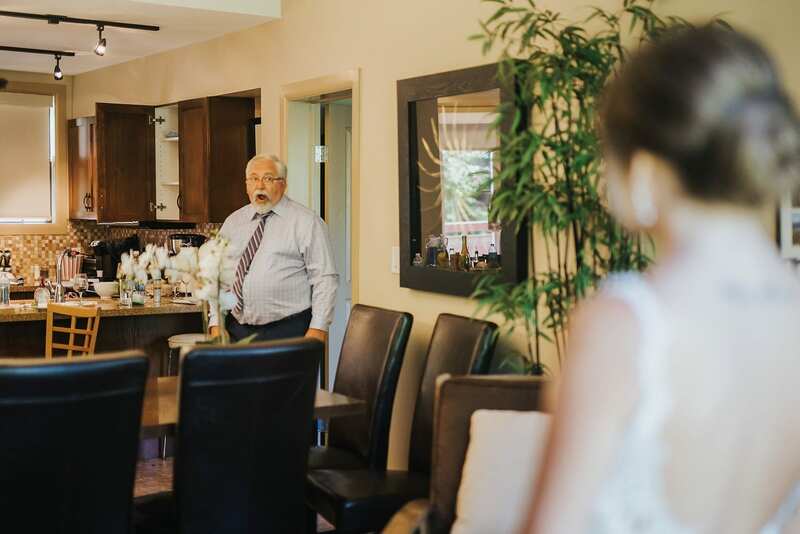 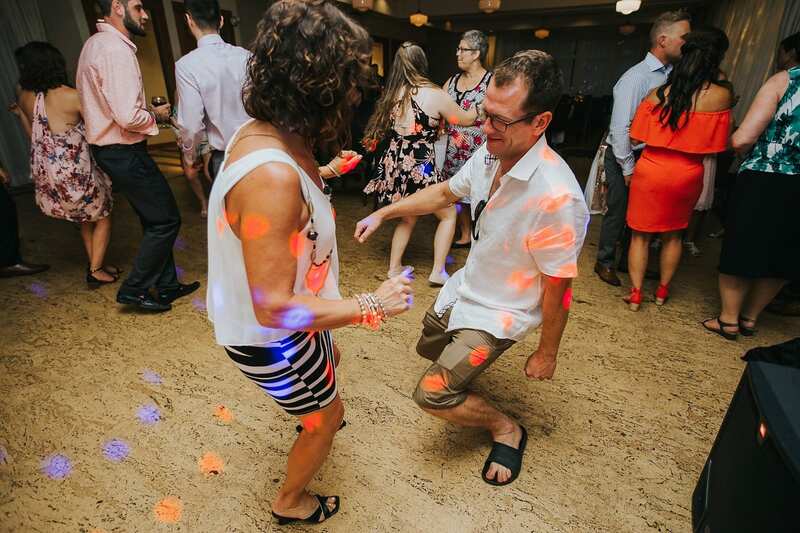 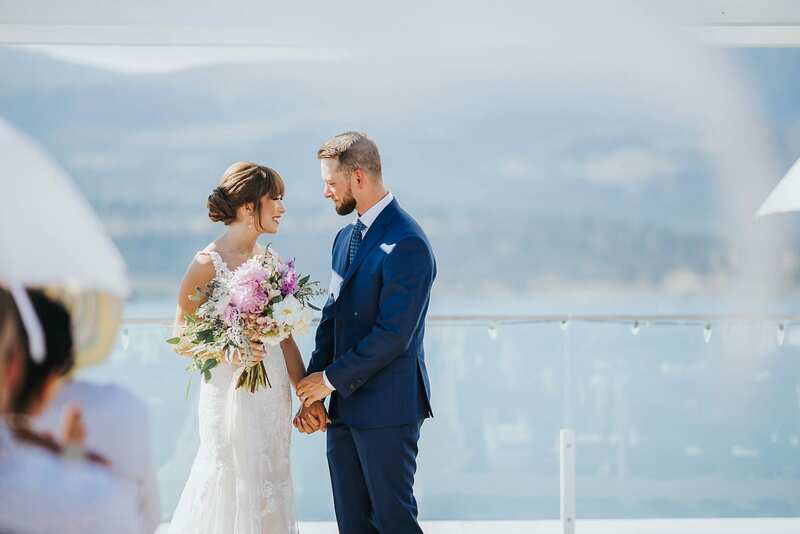 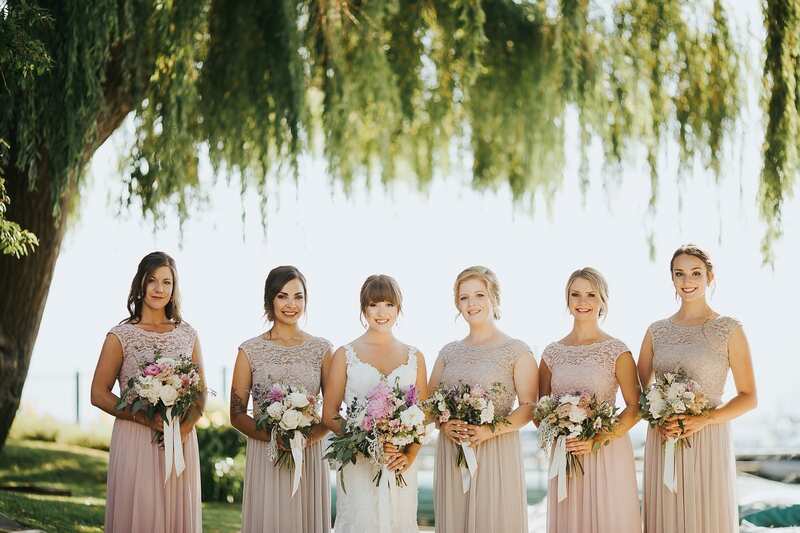 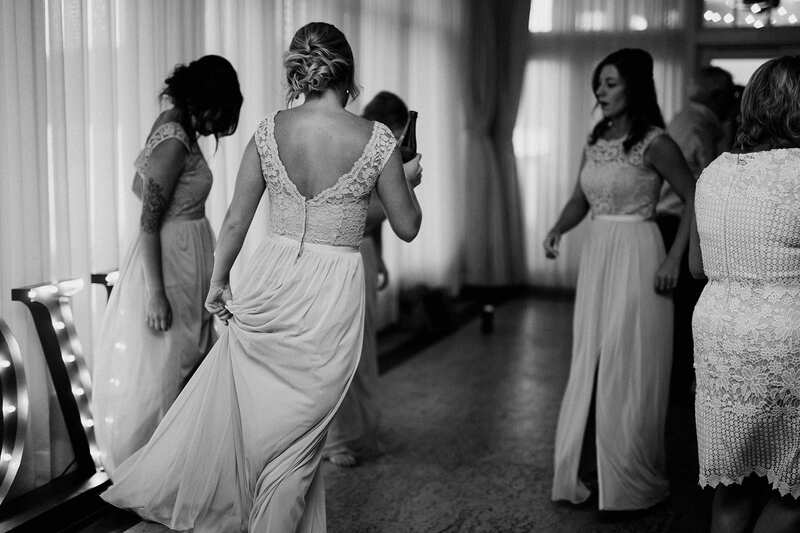 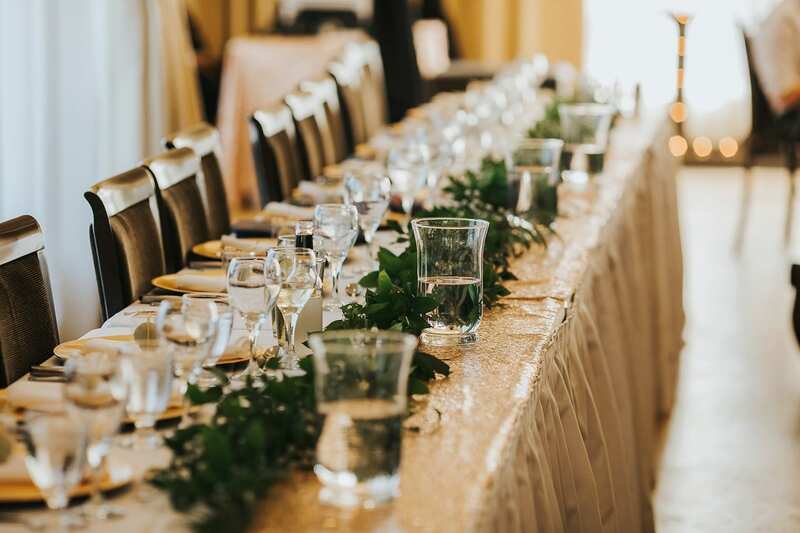 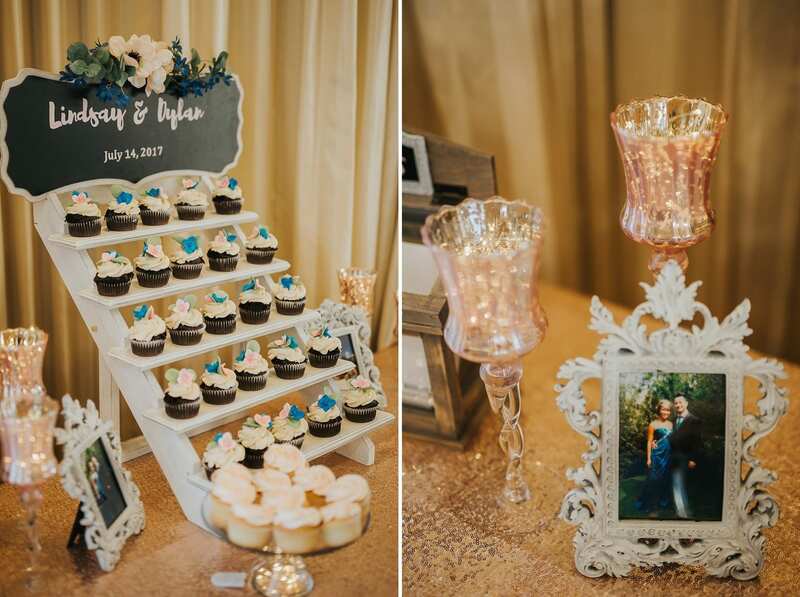 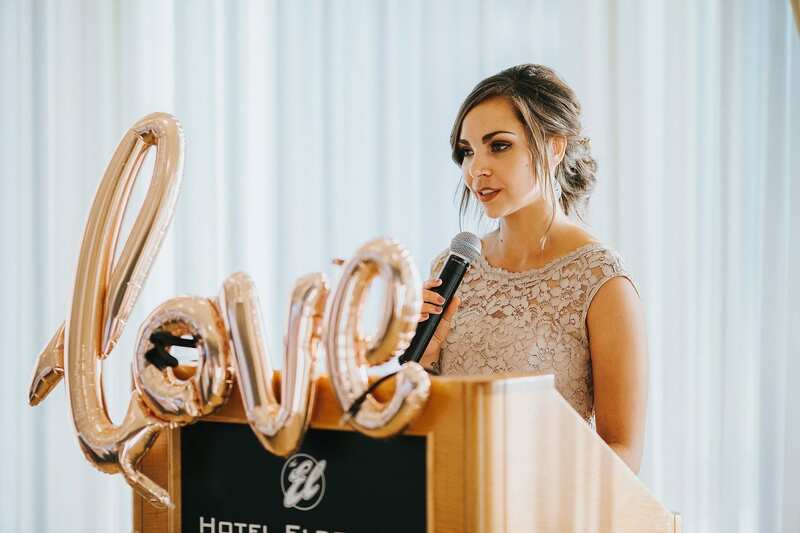 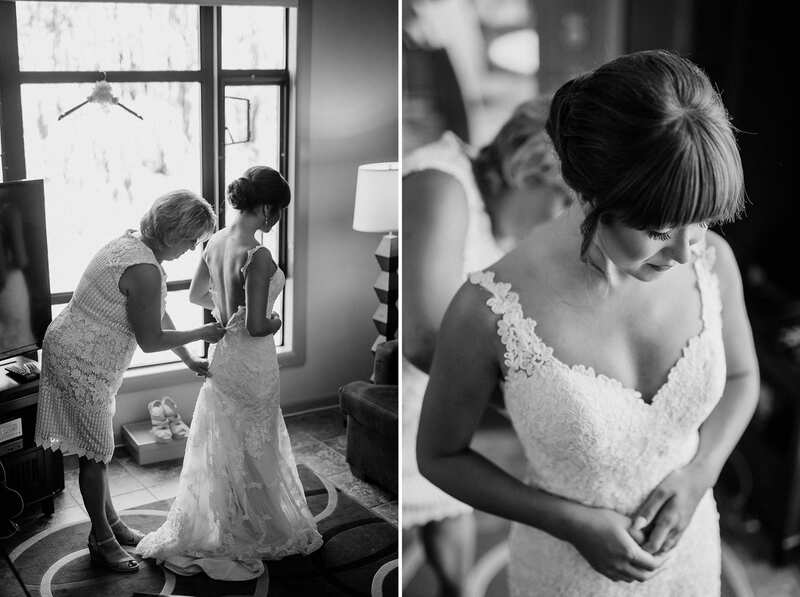 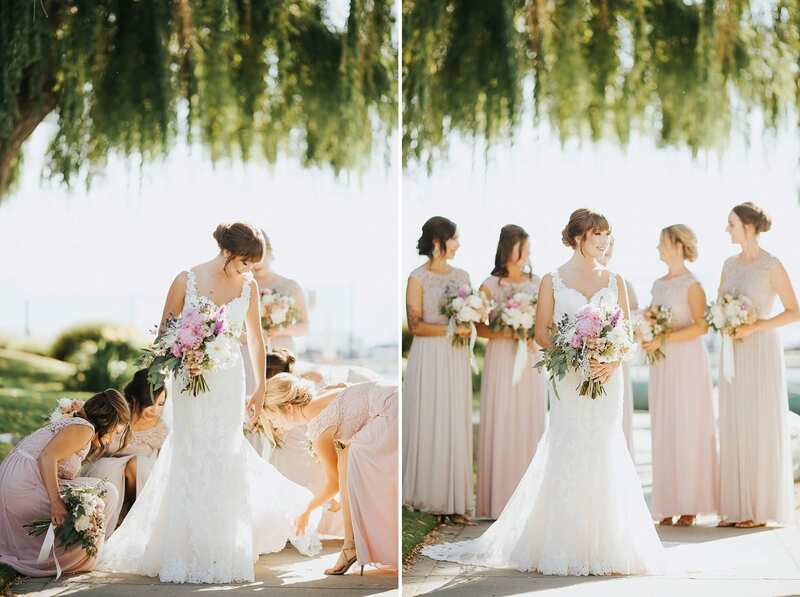 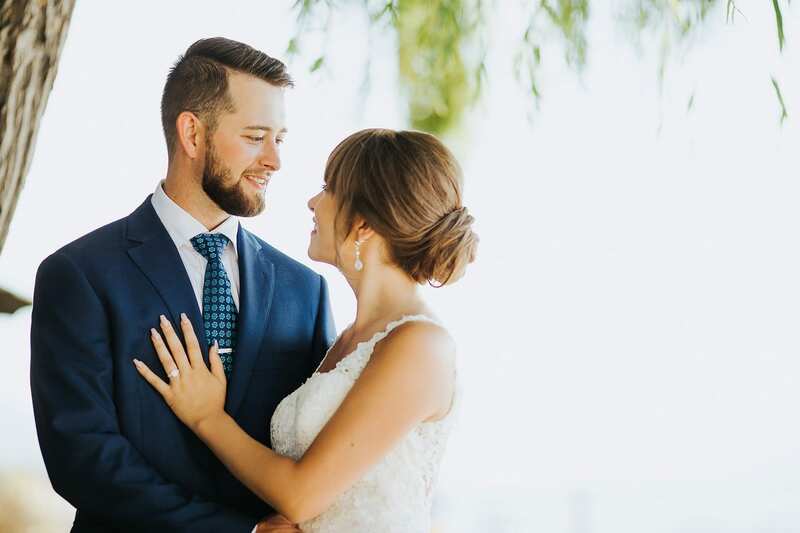 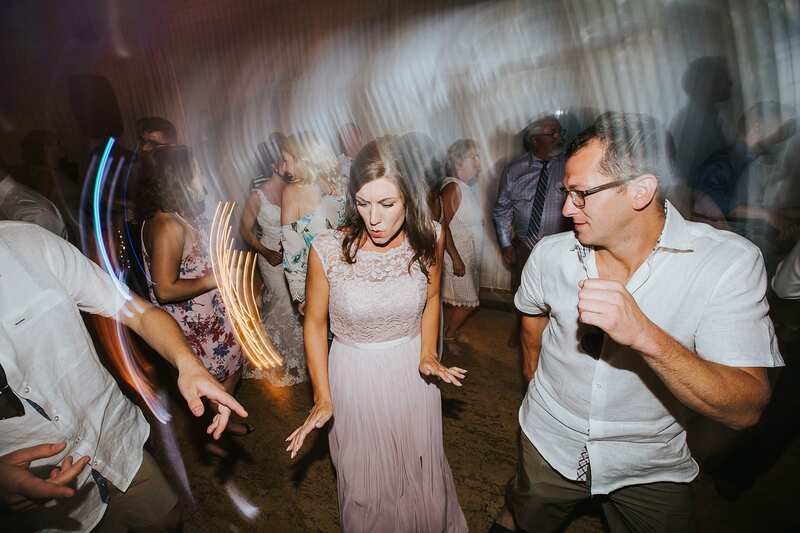 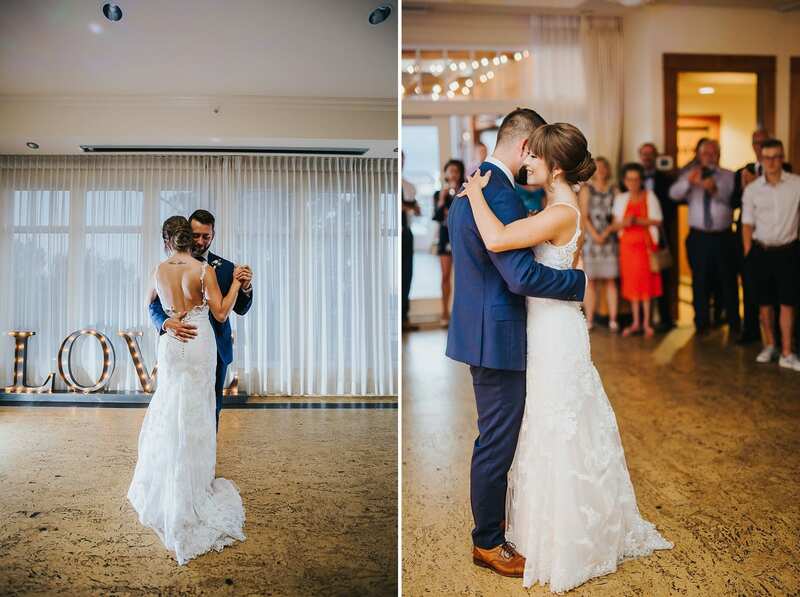 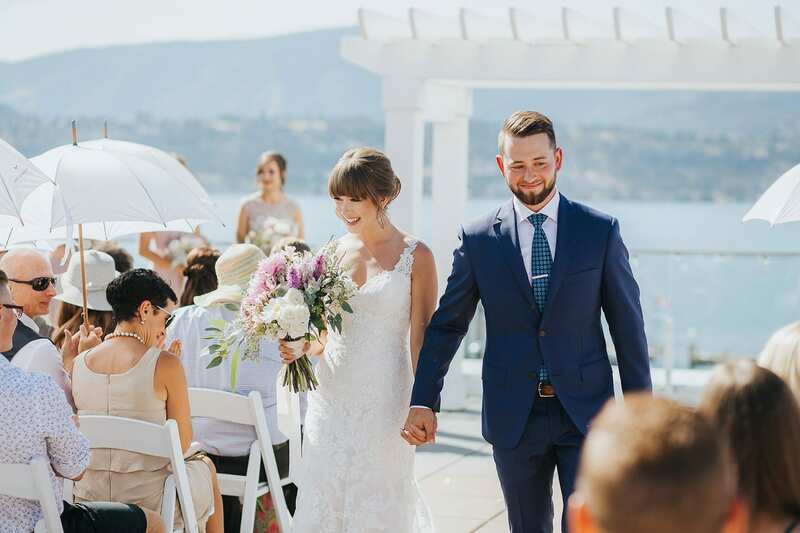 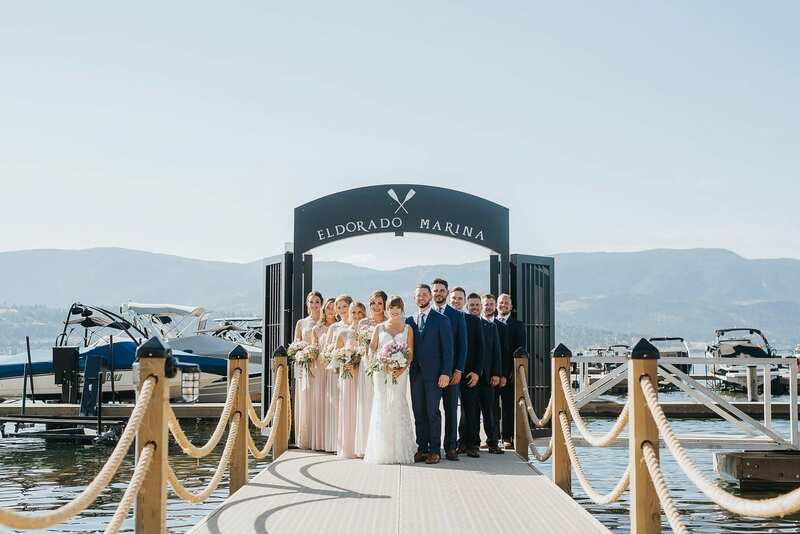 You don’t want to miss Lindsay + Dylan’s gorgeous wedding at The El in Kelowna, BC! 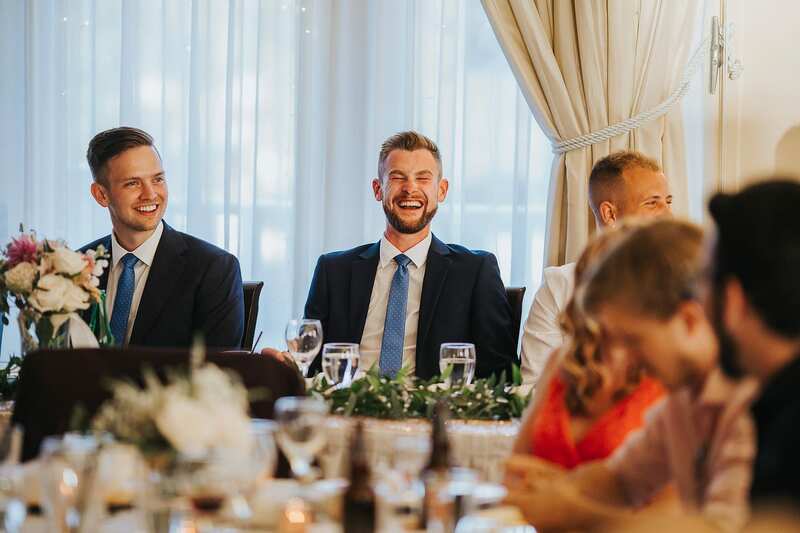 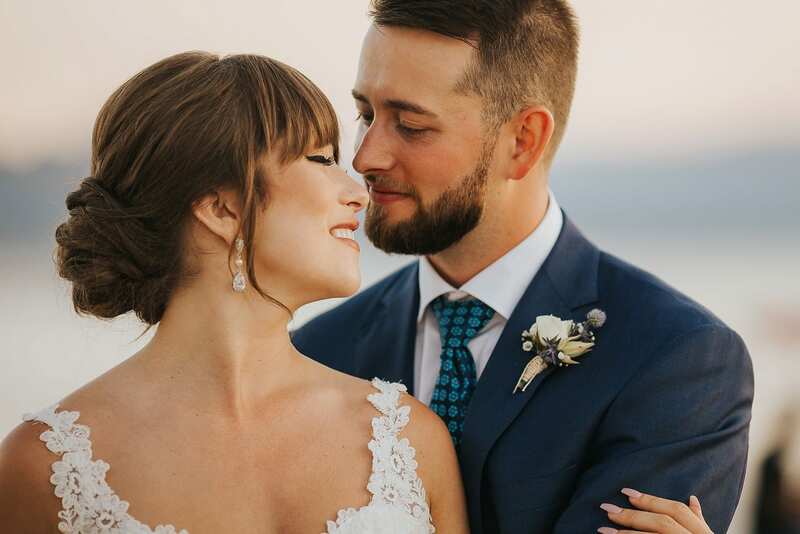 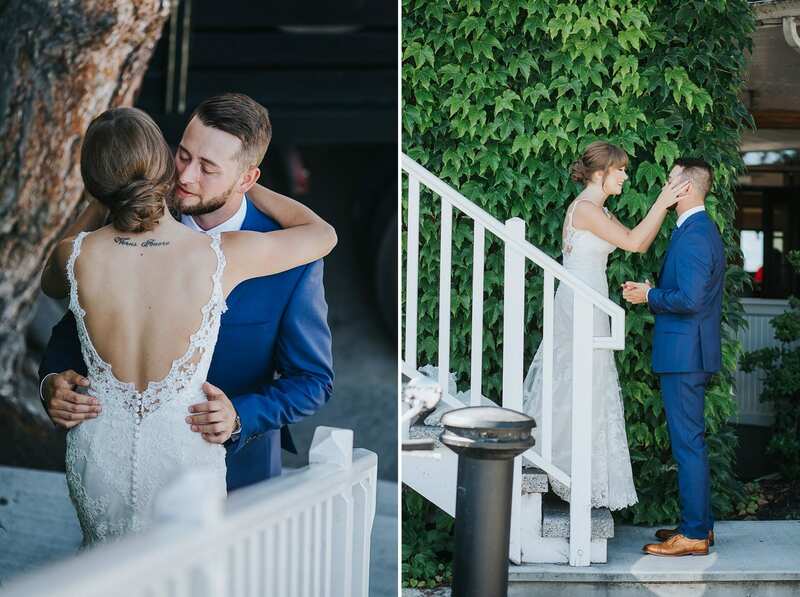 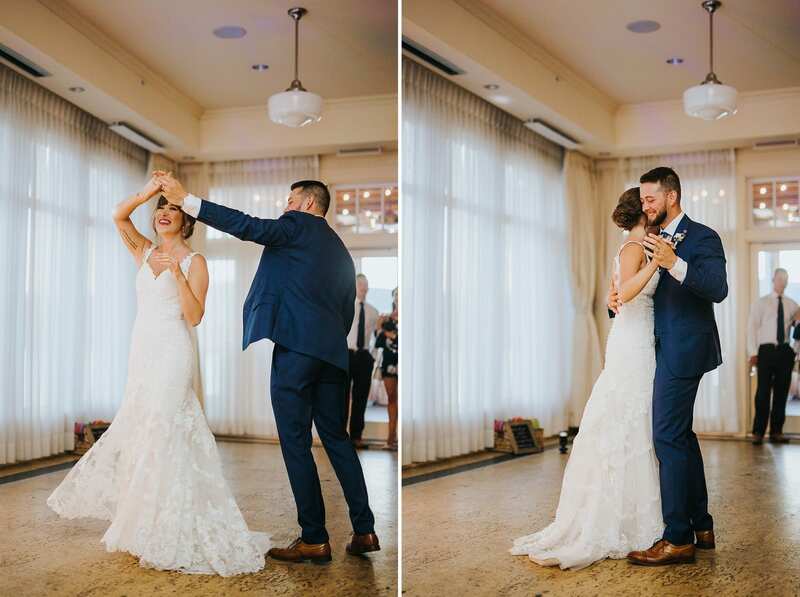 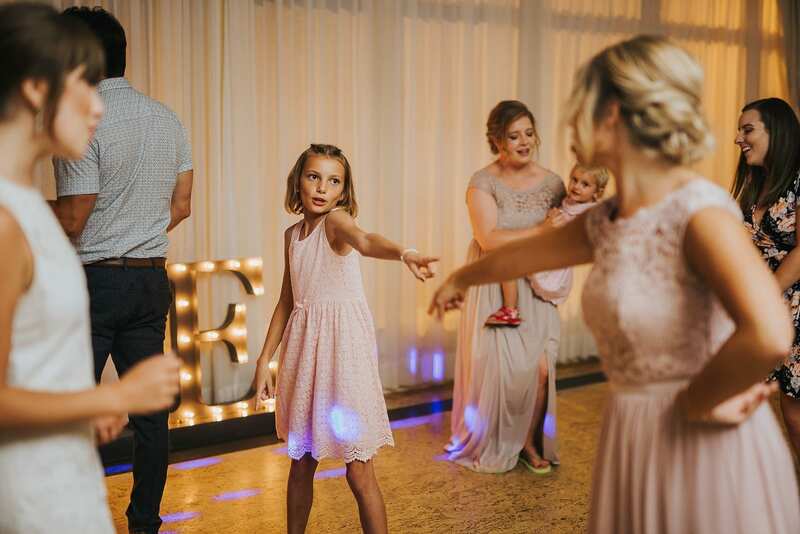 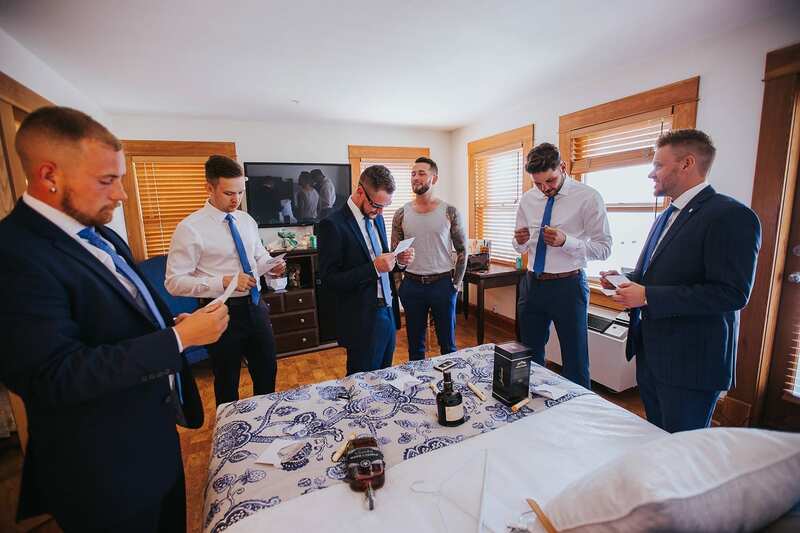 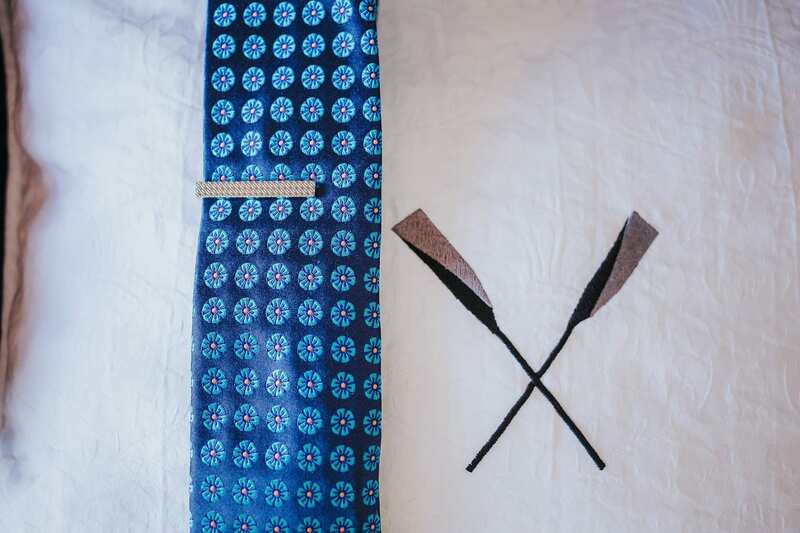 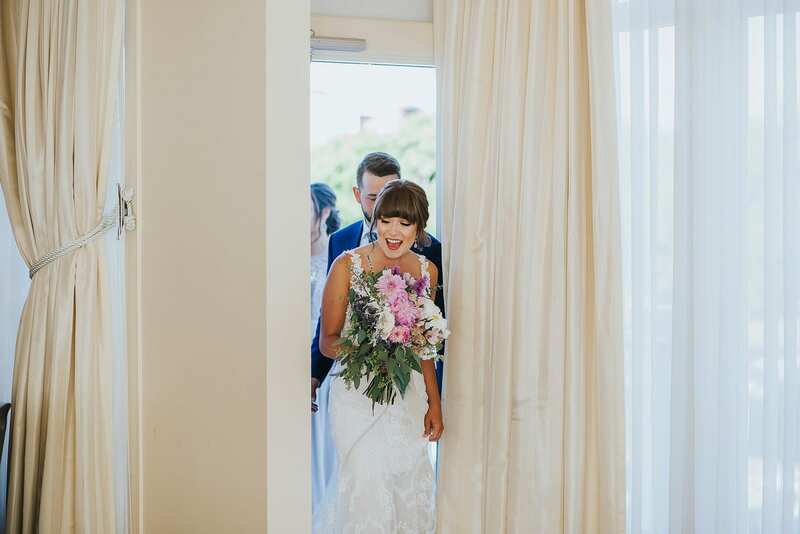 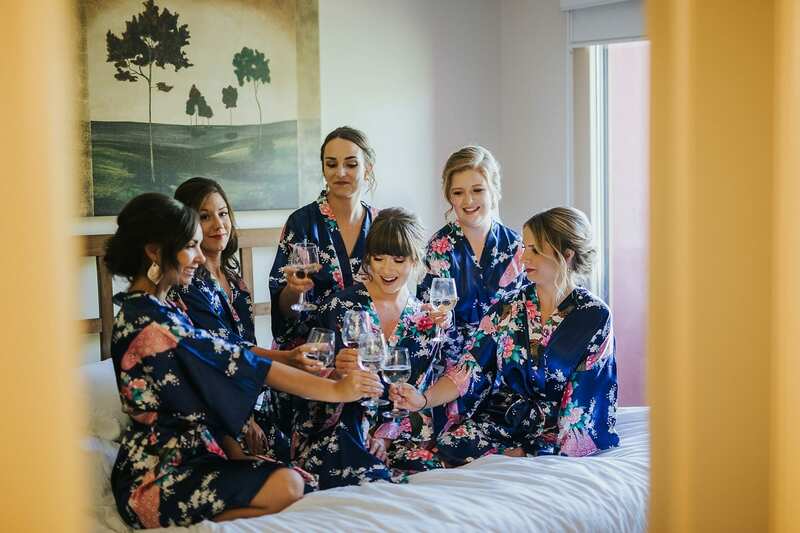 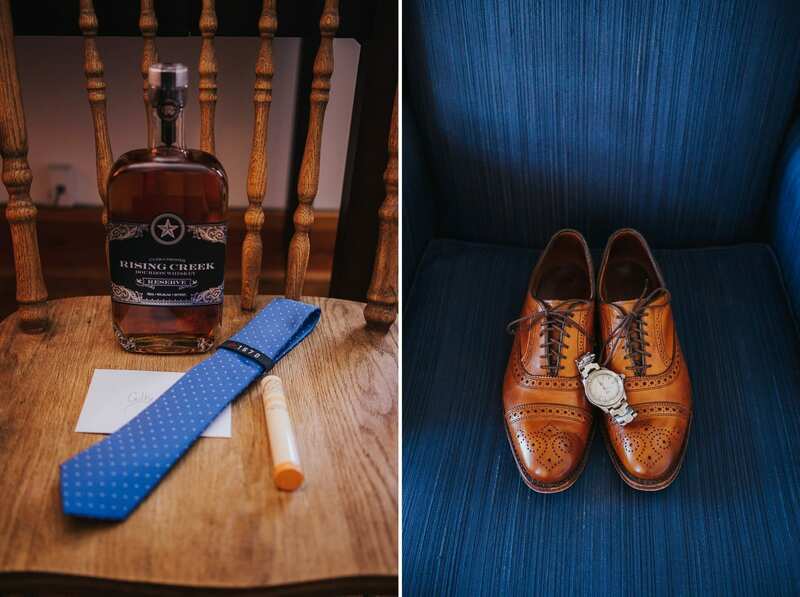 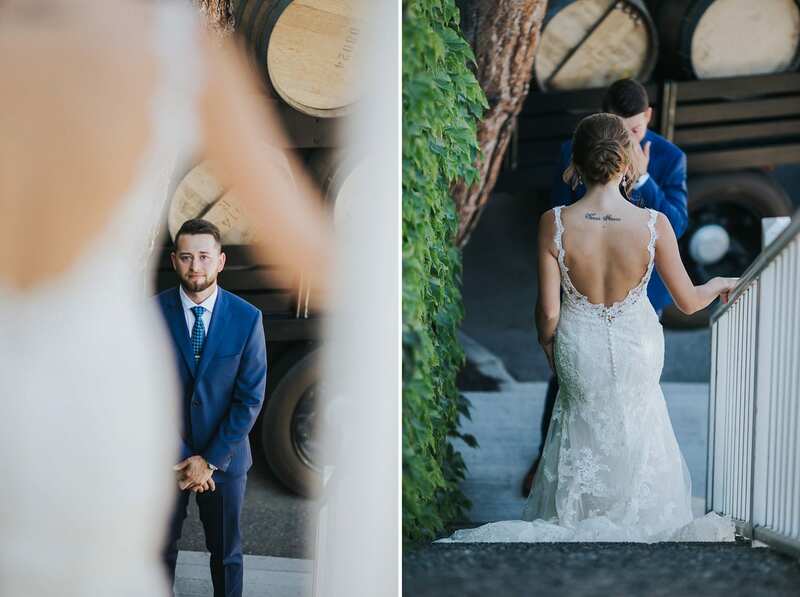 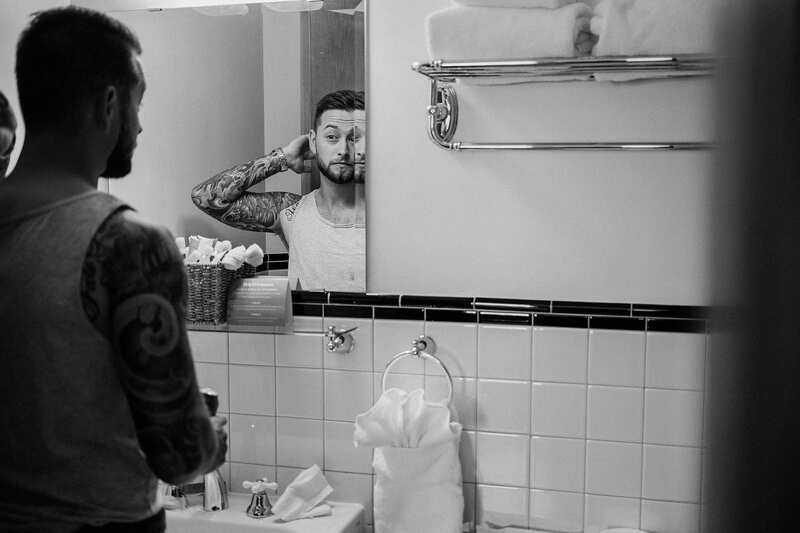 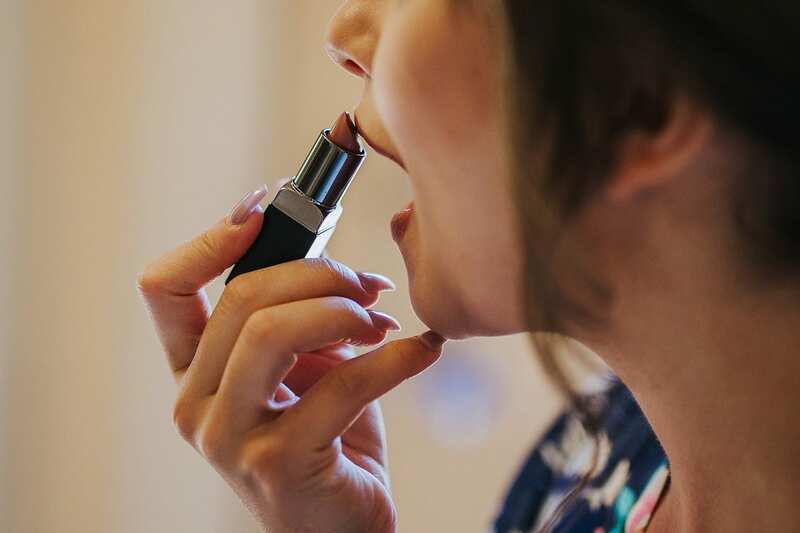 The day begin with both Lindsay and Dylan getting ready with their closest friends, Lindsay at the Manteo resort and Dylan across the street at the Hotel Eldorado. 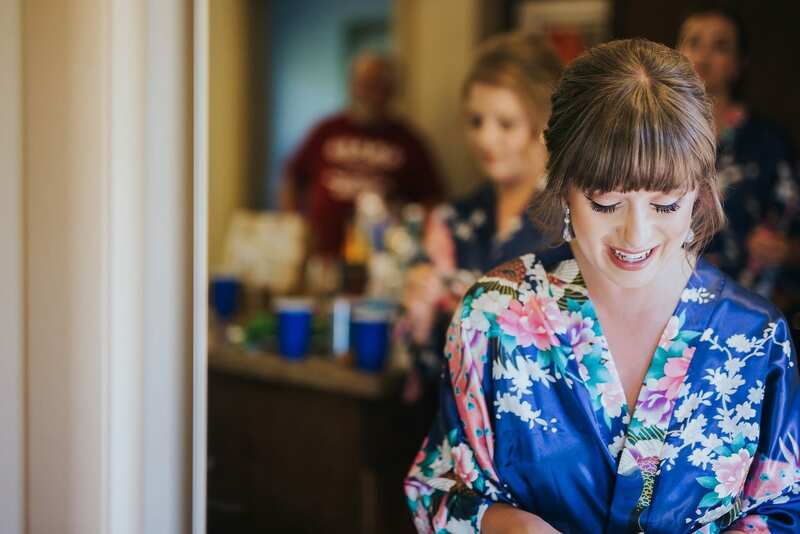 Everybody was in good spirits as they got dressed, gave gifts, and enjoyed those feelings of anticipation! 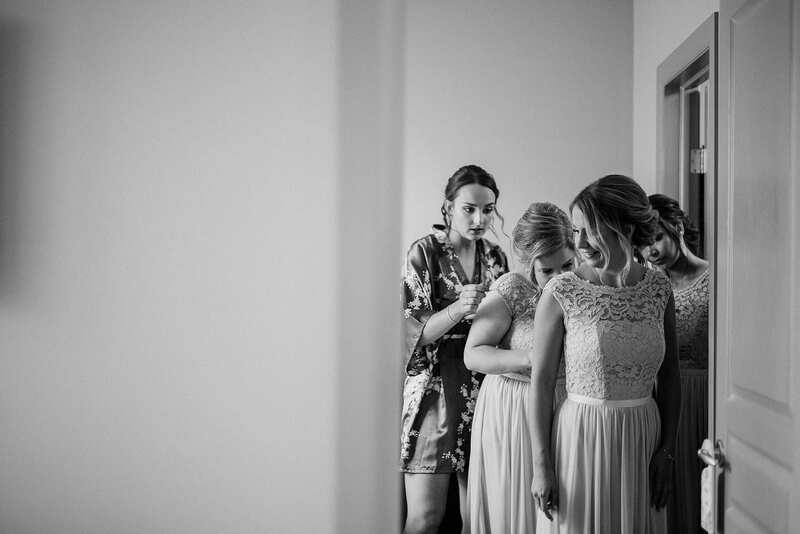 Lindsay and Dylan wanted to ease the pressure and see each other before the ceremony in a private moment by themselves. 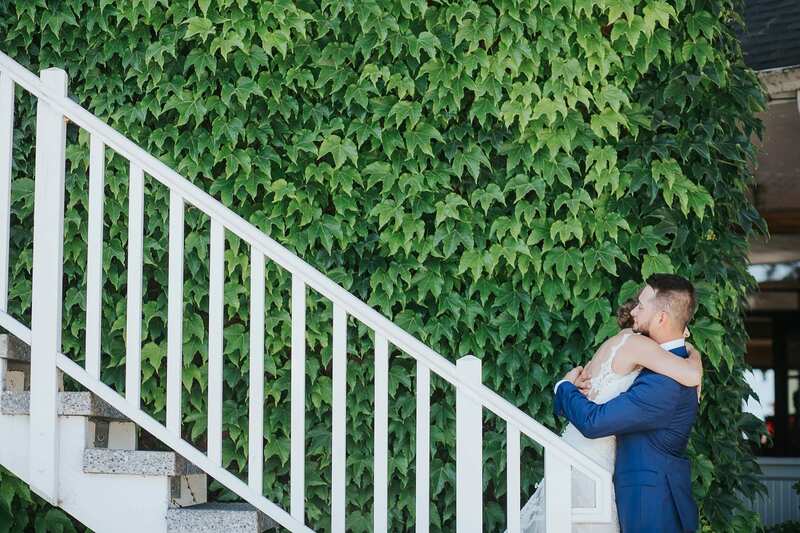 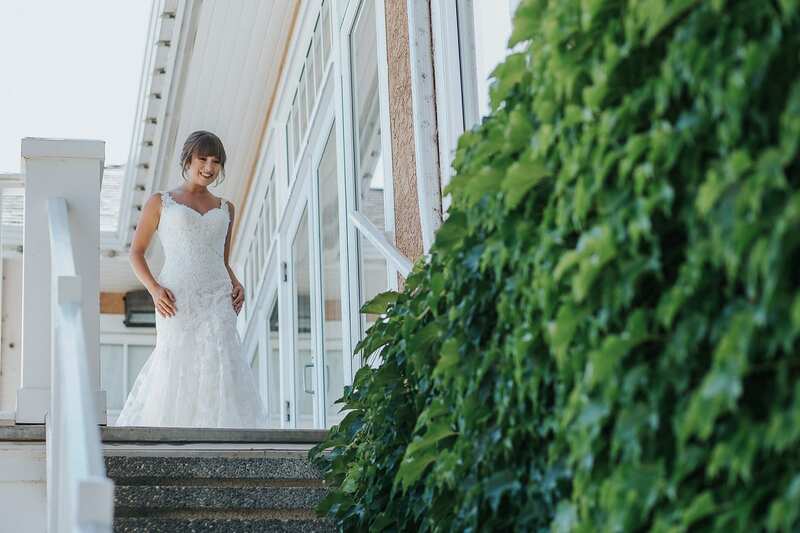 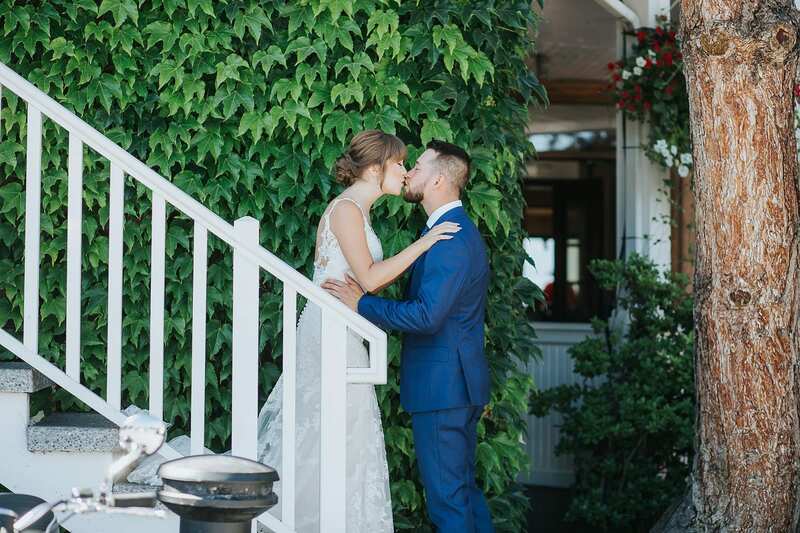 We chose the stairs and ivy creating a beautiful green backdrop for this lovely first look! 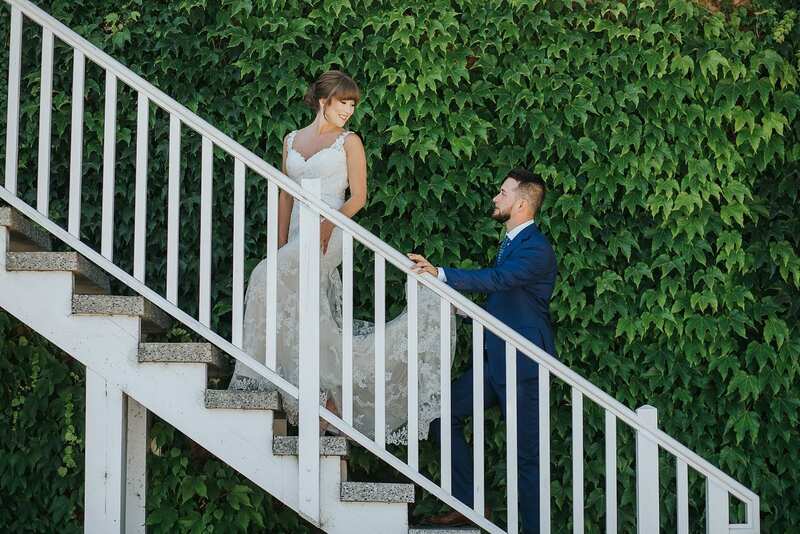 Afterwards, we all went to the rooftop for the ceremony! 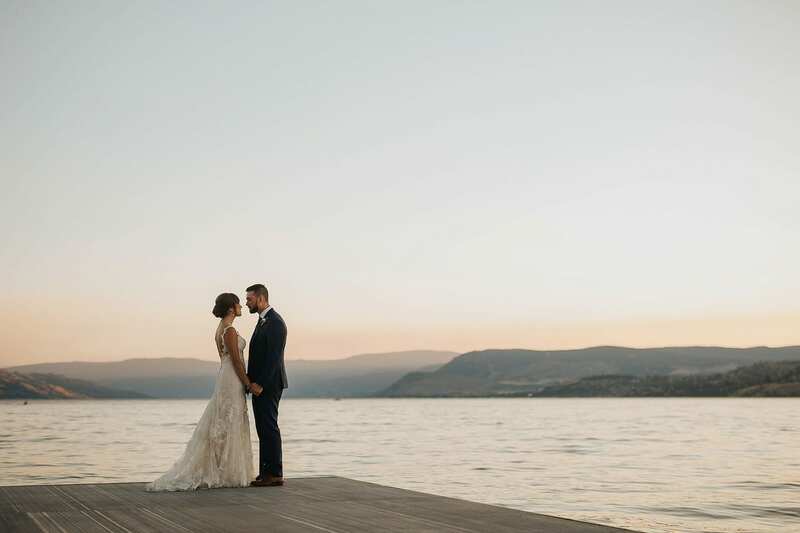 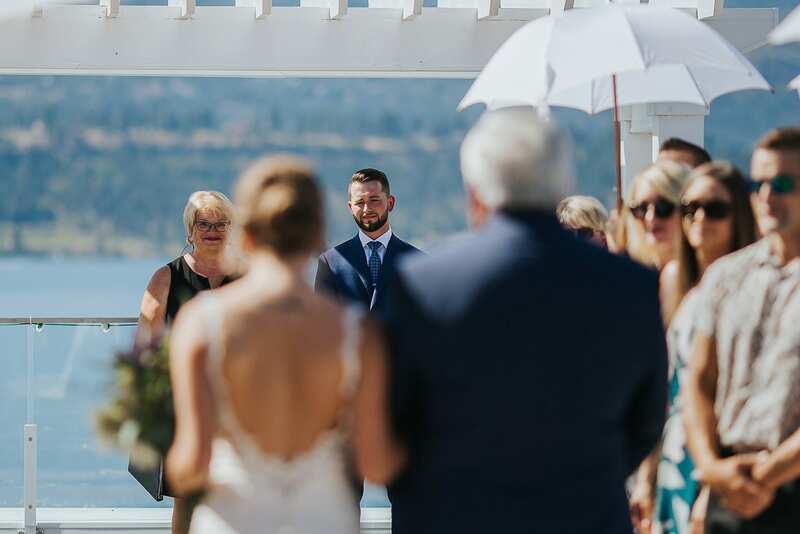 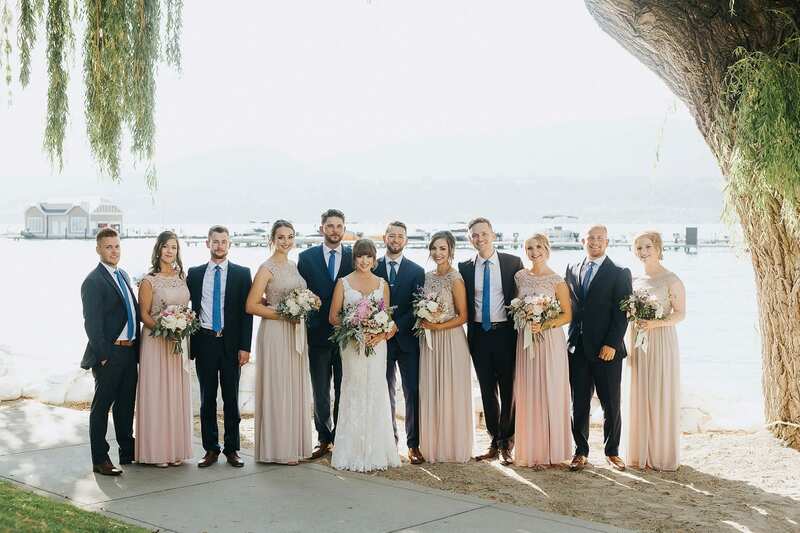 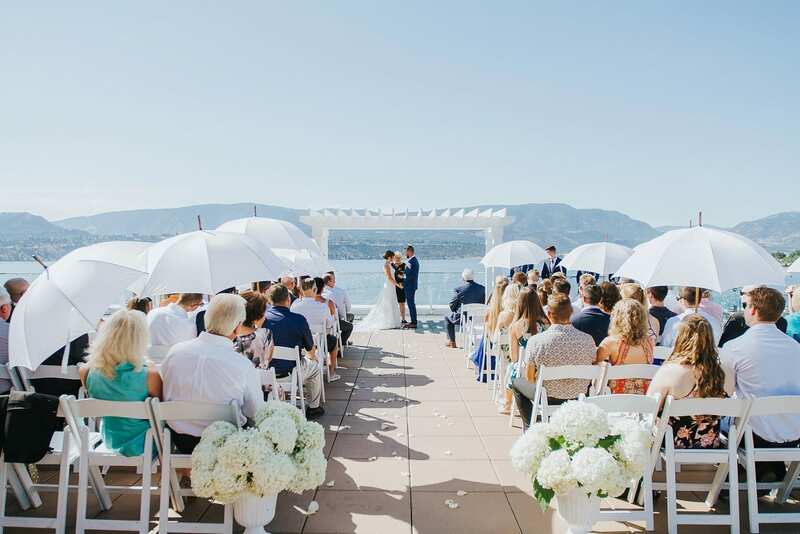 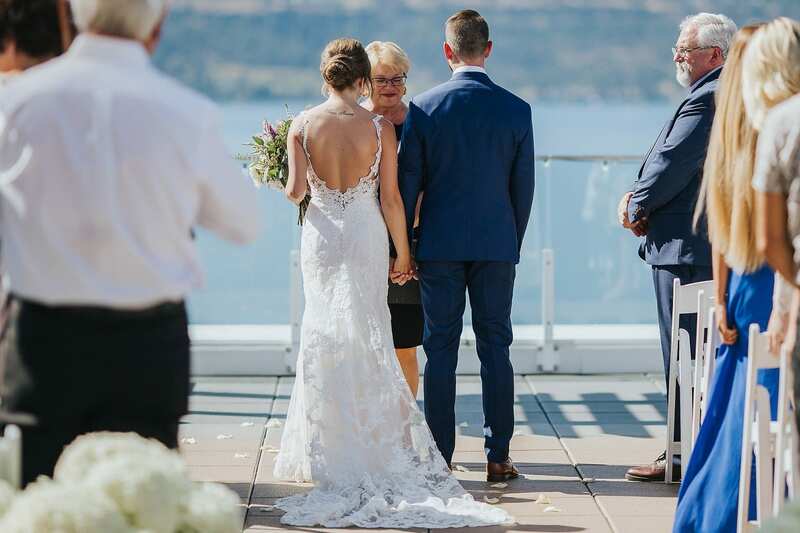 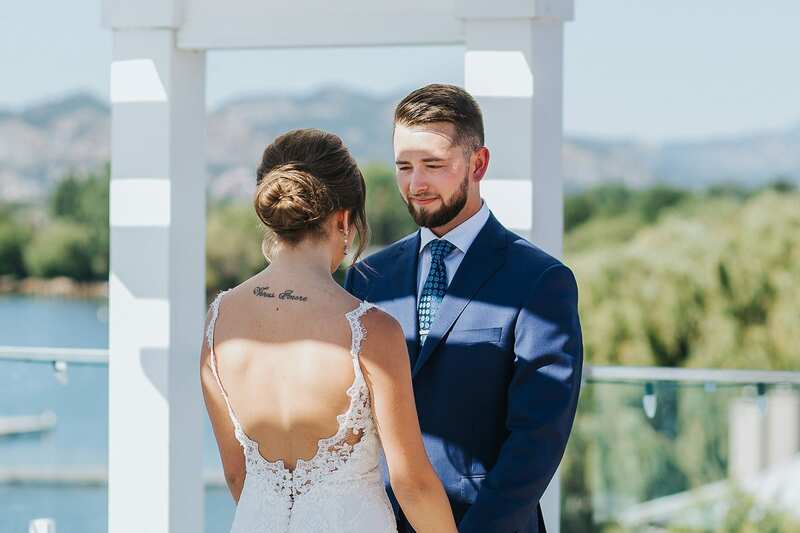 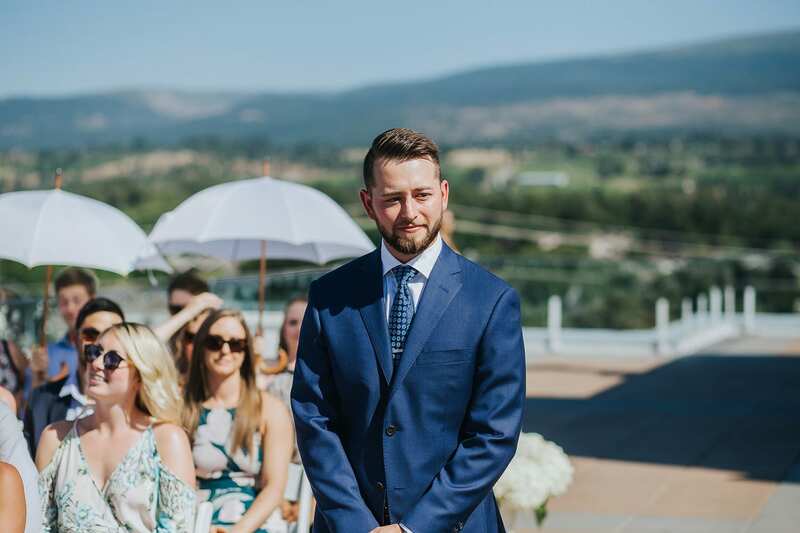 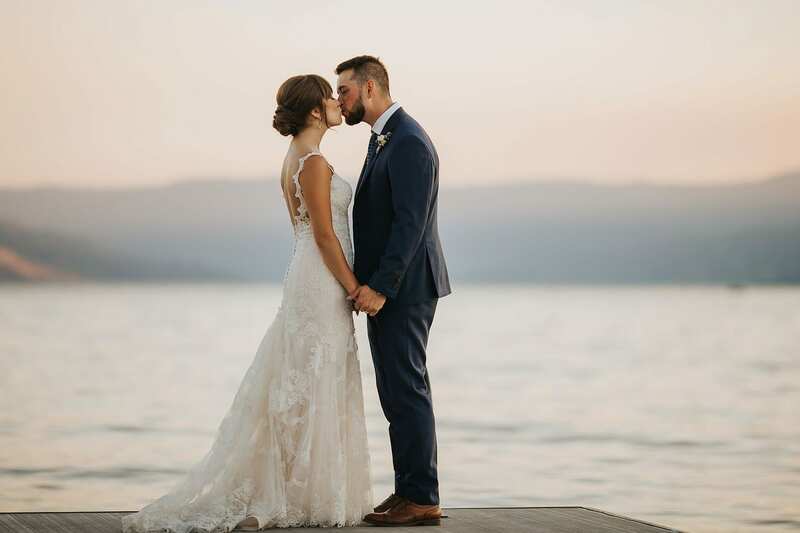 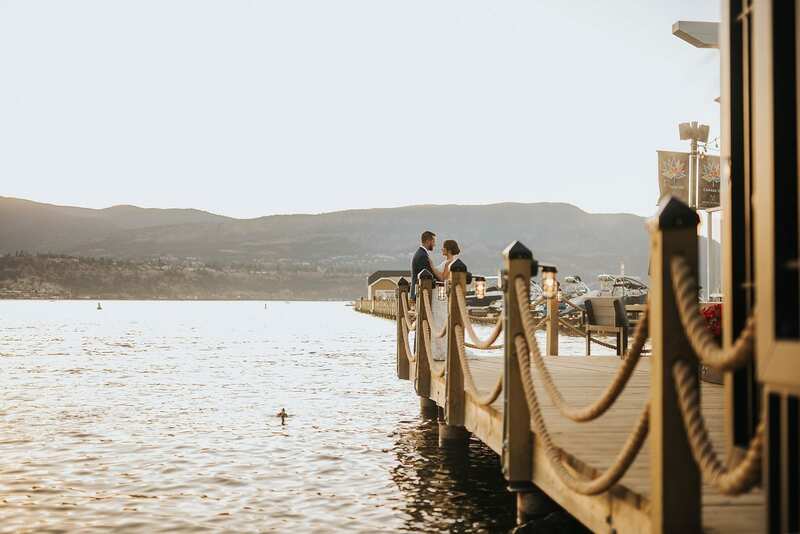 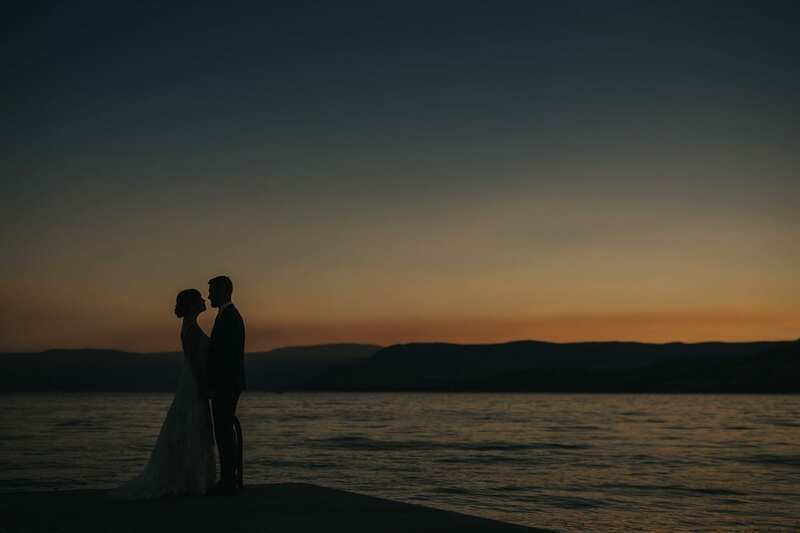 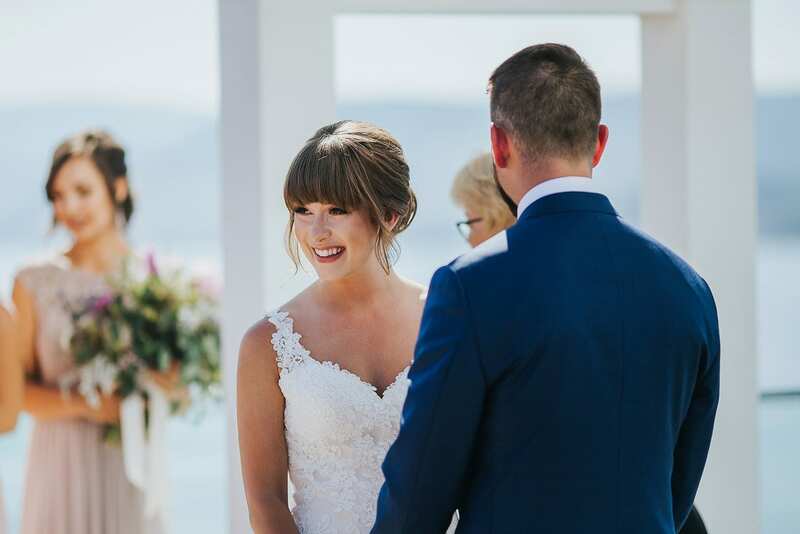 The ceremony was beautiful with the stunning Okanagan Lake and mountains in the background. 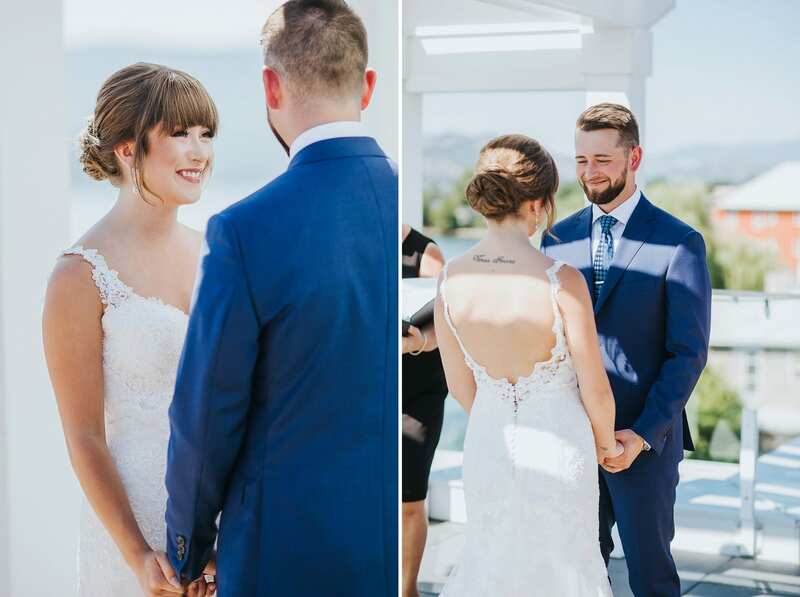 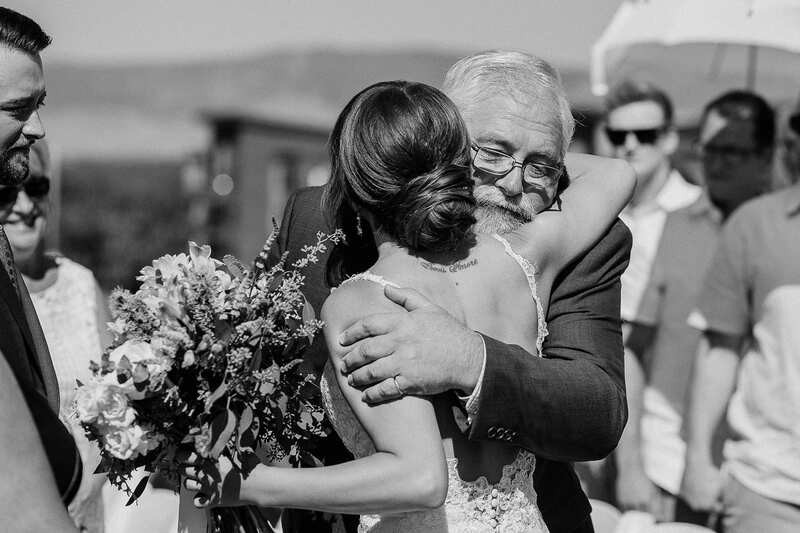 Vows were read, rings were exchanged, and these two promised forever in the shining sun! 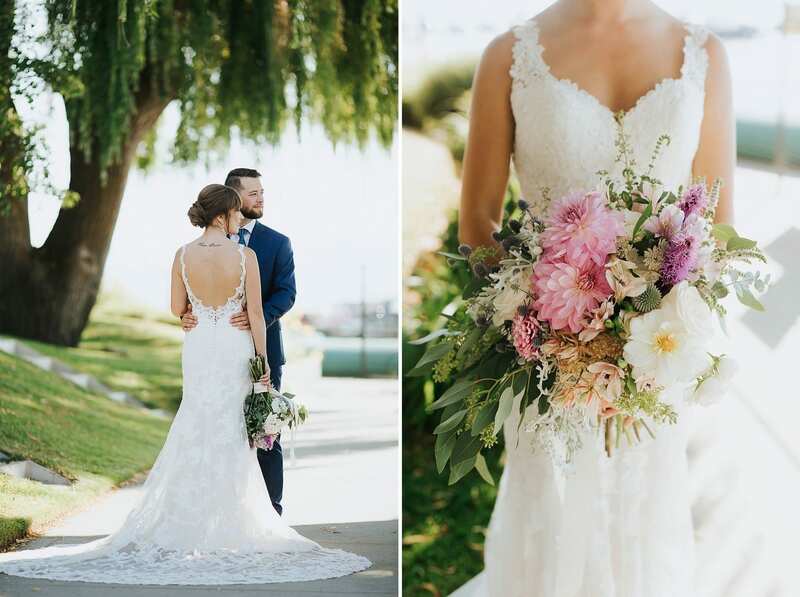 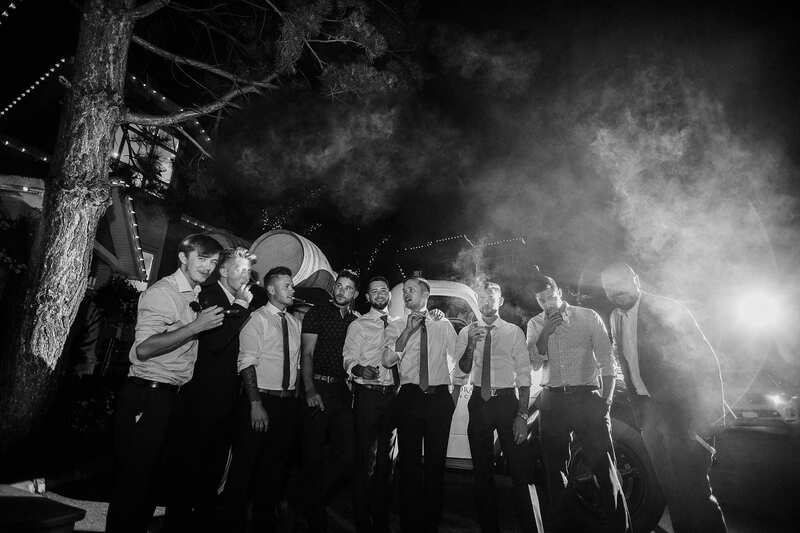 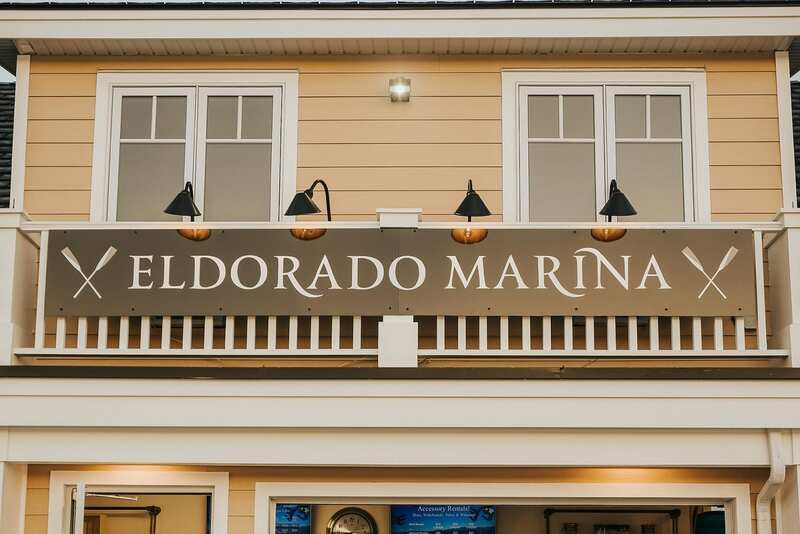 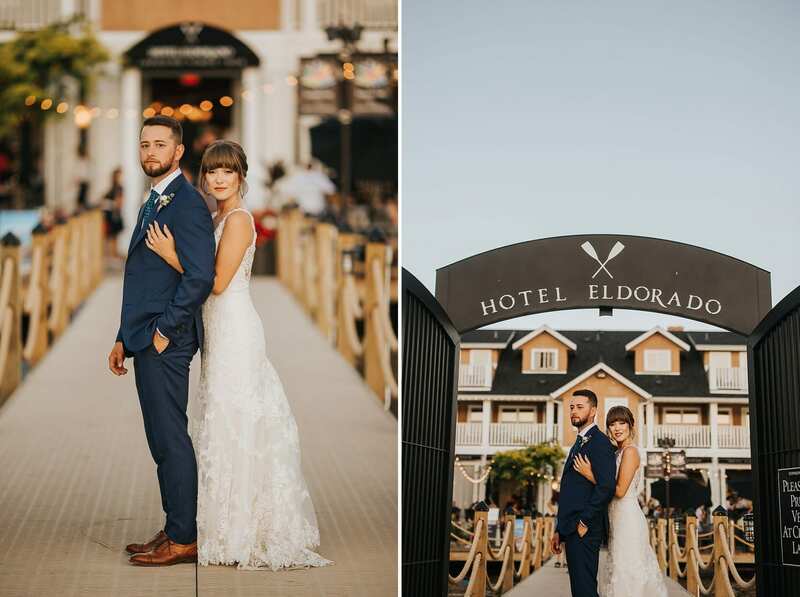 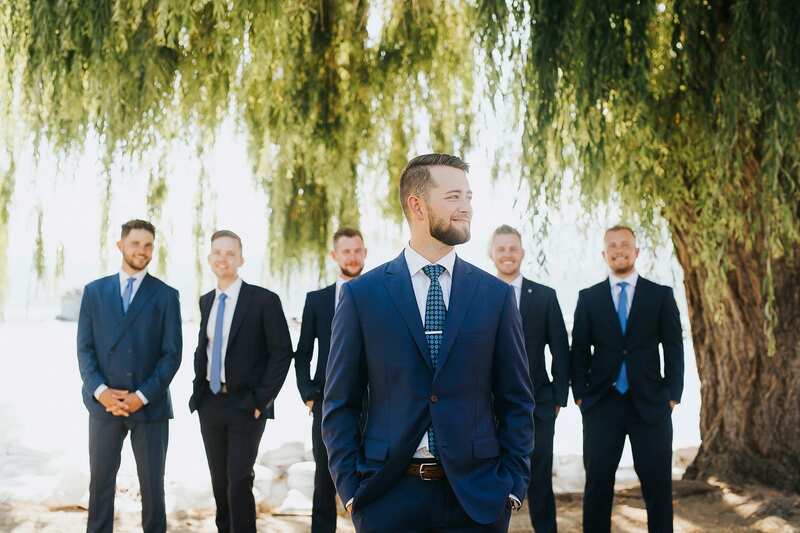 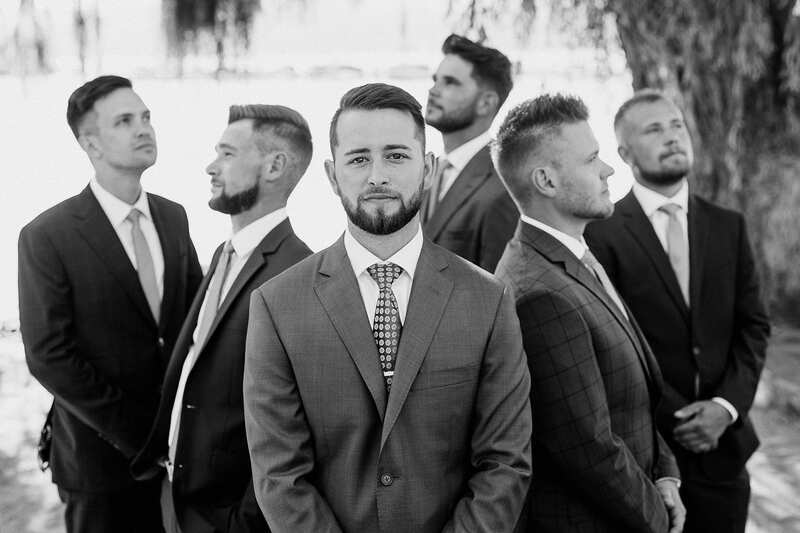 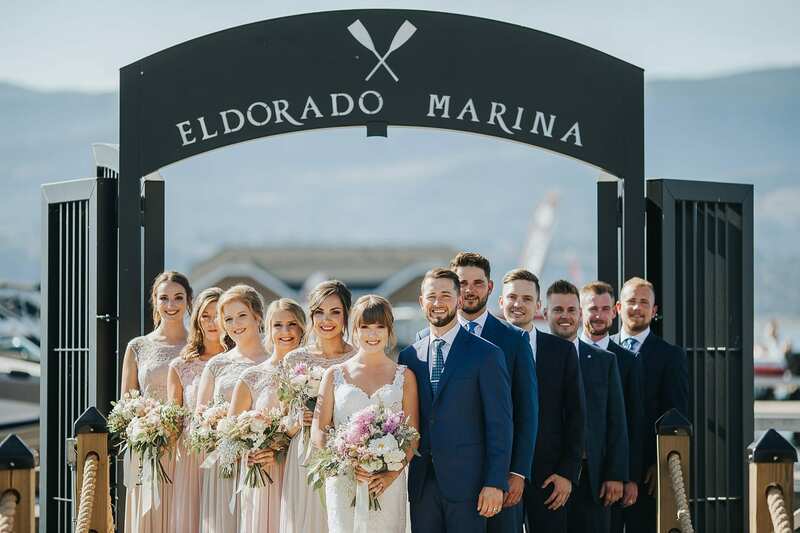 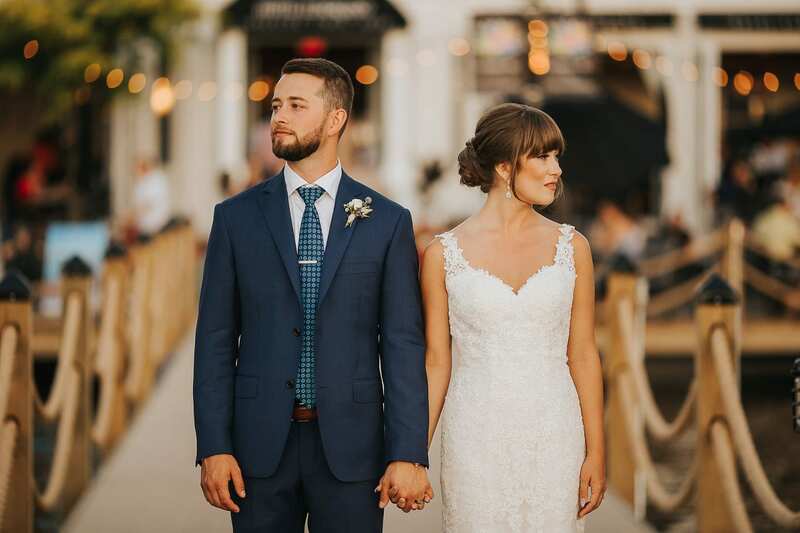 We took the Bridal Party around the Hotel Eldorado Marina and surrounding boardwalk. 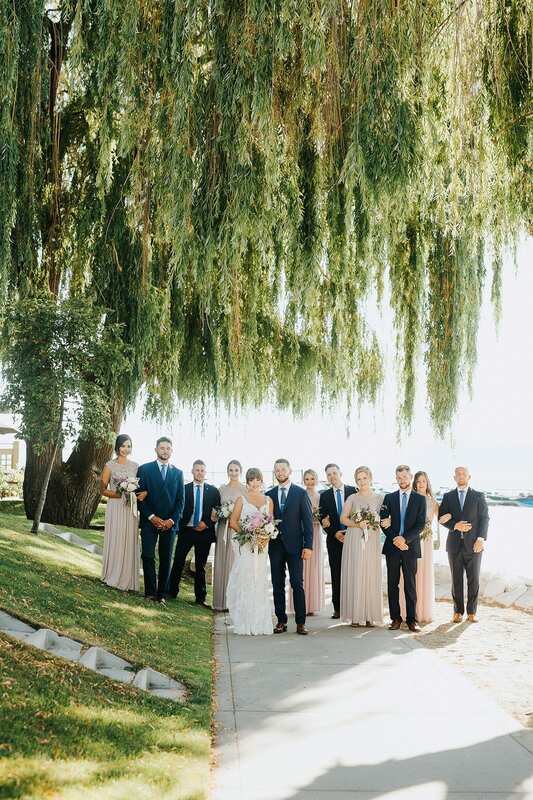 It was a truly hot day but this group was amazing and everyone looked great under the big willow tree and near the lake! 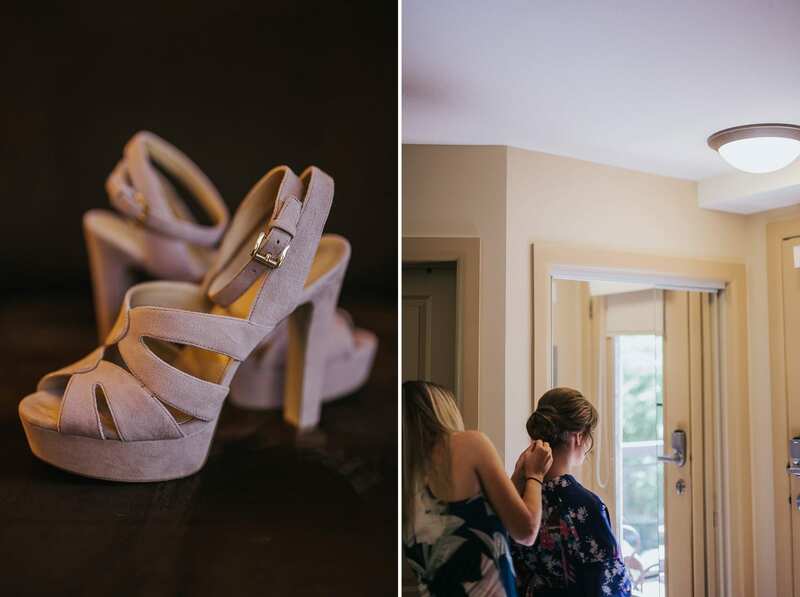 After a few portraits with Lindsay + Dylan we made our way back in for the reception. 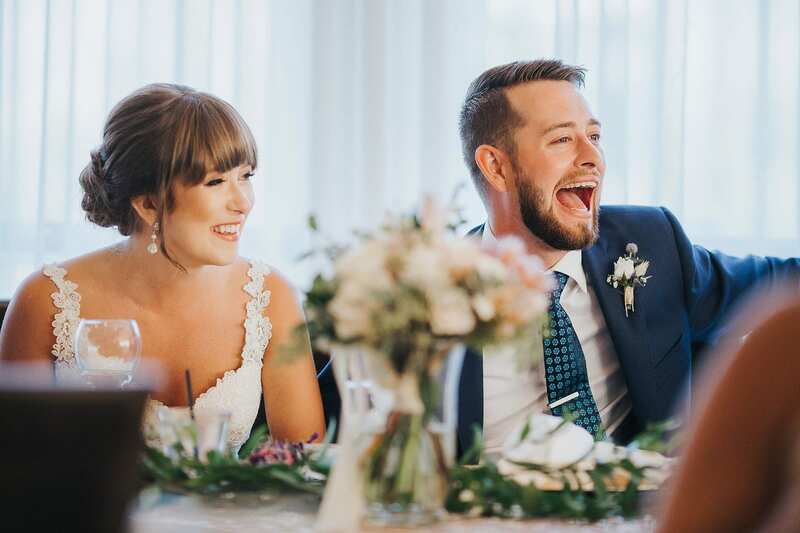 A Wedding at the The El always has a great reception! 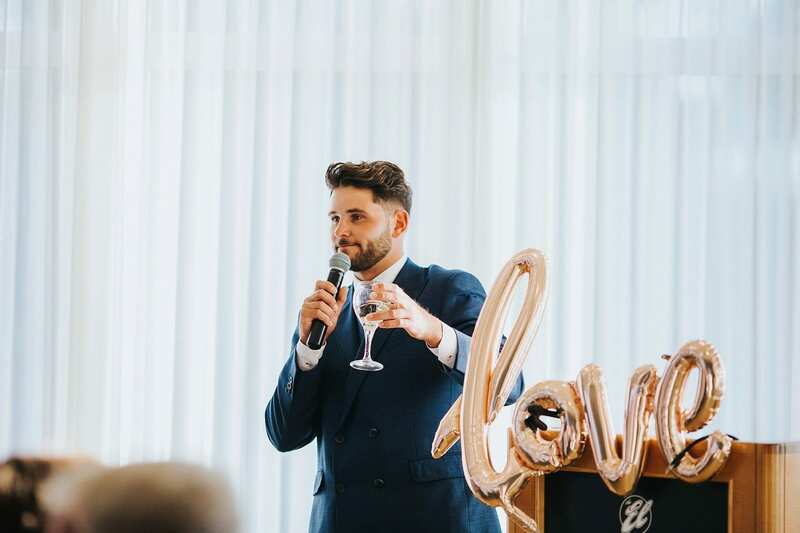 This time we were upstairs in the Great Room where Lindsay’s brother did a great job as MC and kept the evening flowing! 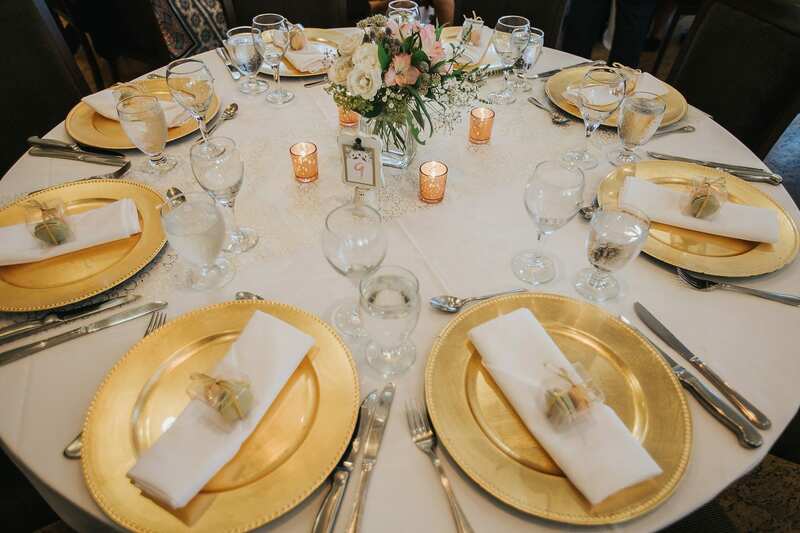 Dinner was served and speeches were heartfelt and wonderful! 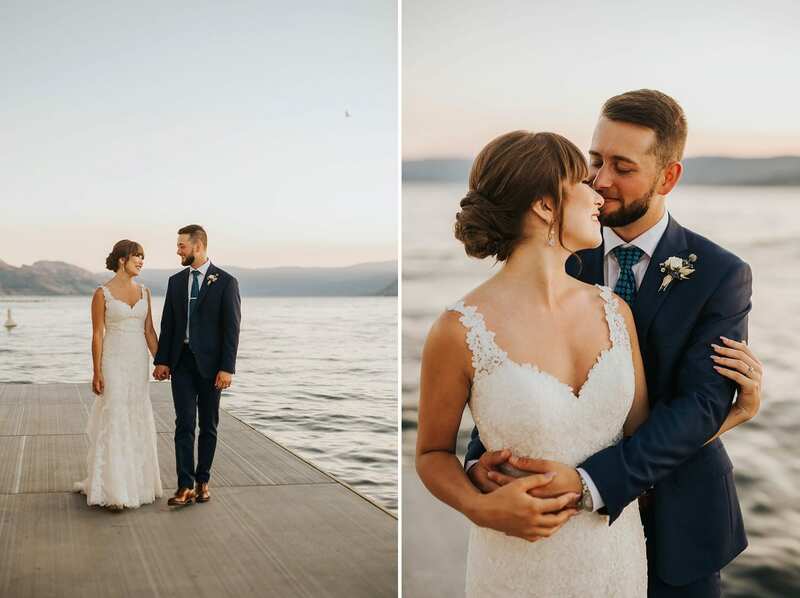 In the summer sunset we took the couple out on the boardwalk for some stunning sunset photos! 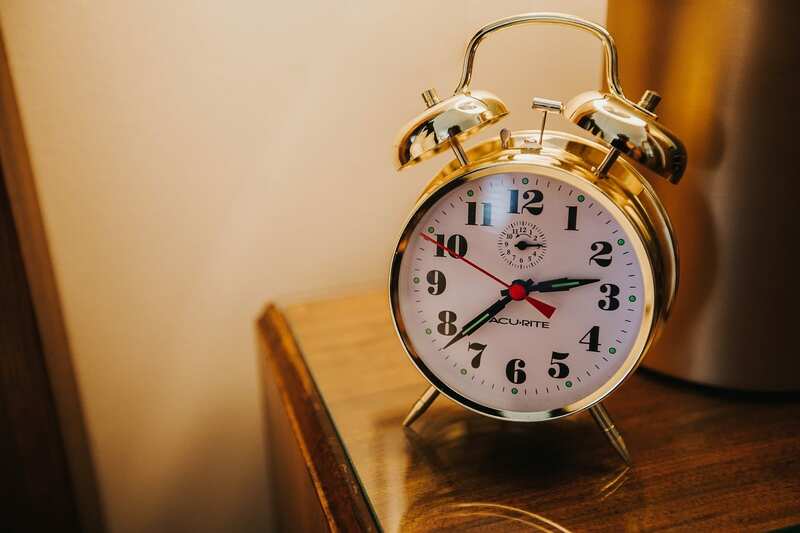 It’s our favourite time of the day! 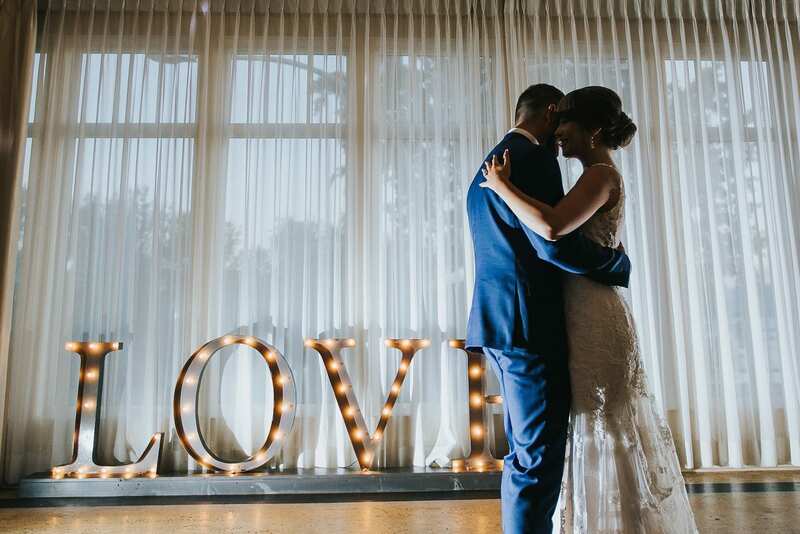 Back inside, the first dance got underway and our Bride + Groom swayed in front of a very large and very perfect Love marquee! 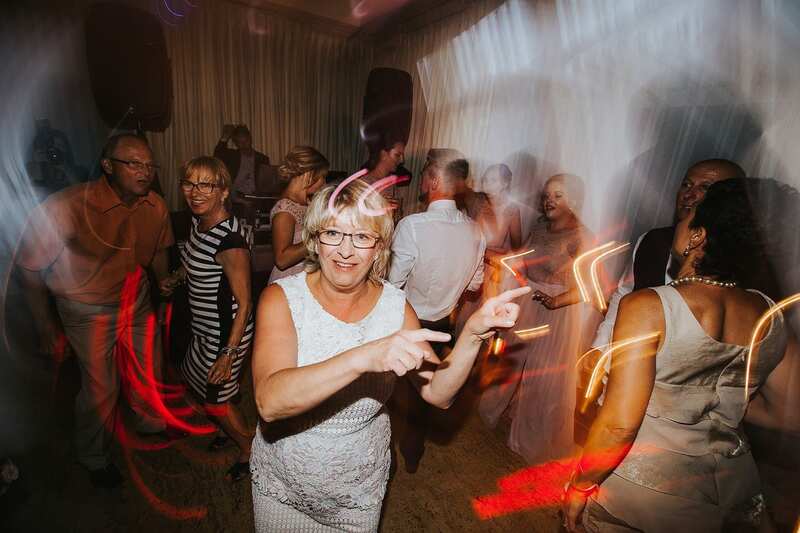 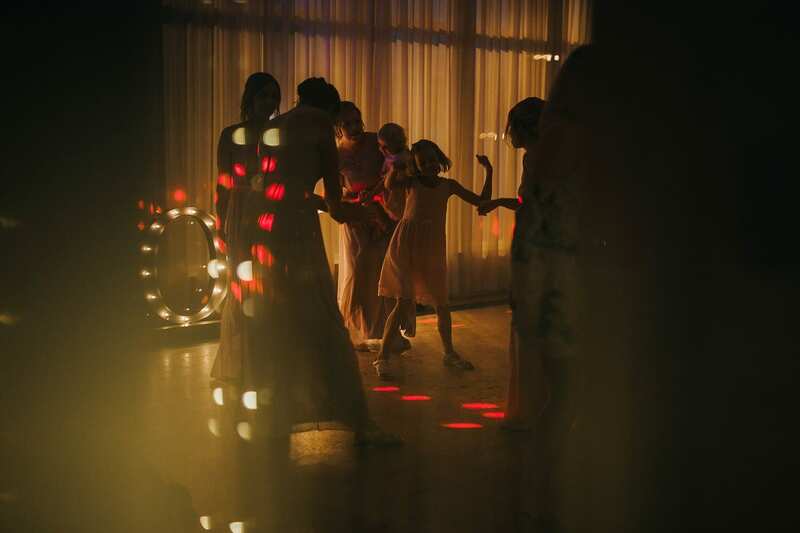 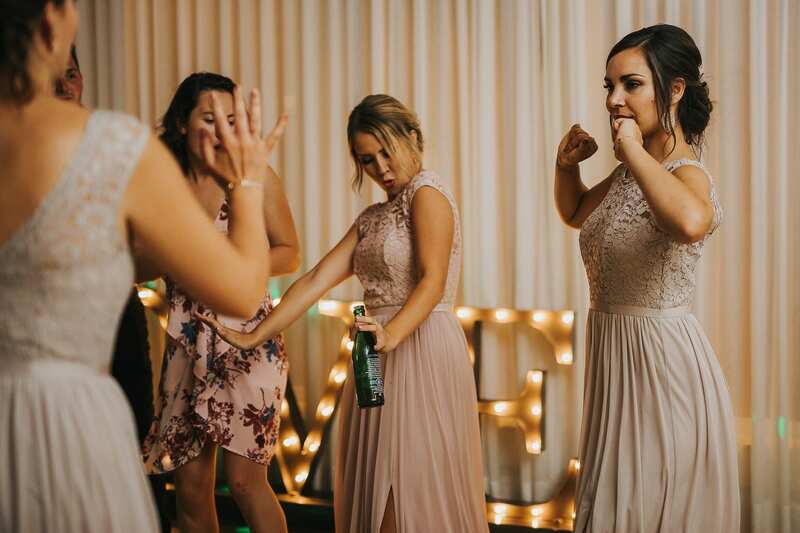 Soon it was party time as all the guests hit the dance floor with their best moves! 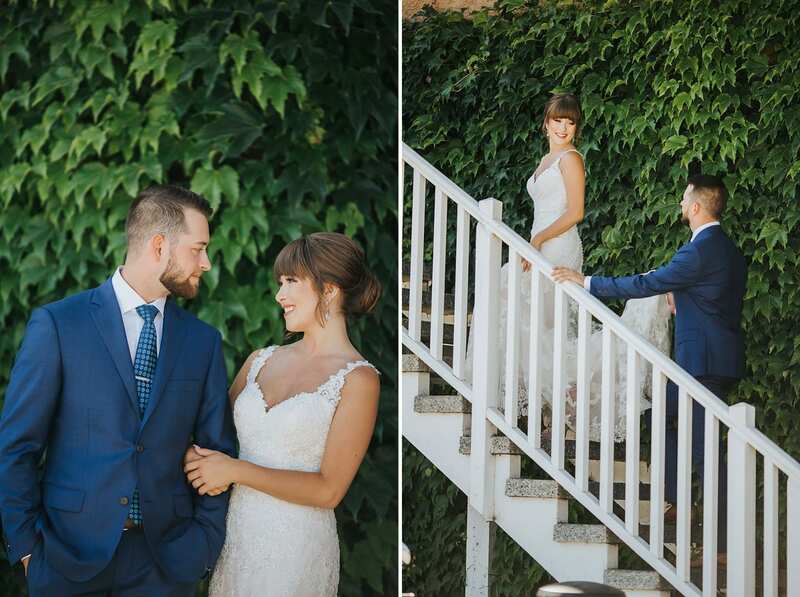 Thanks Lindsay + Dylan for a great day! 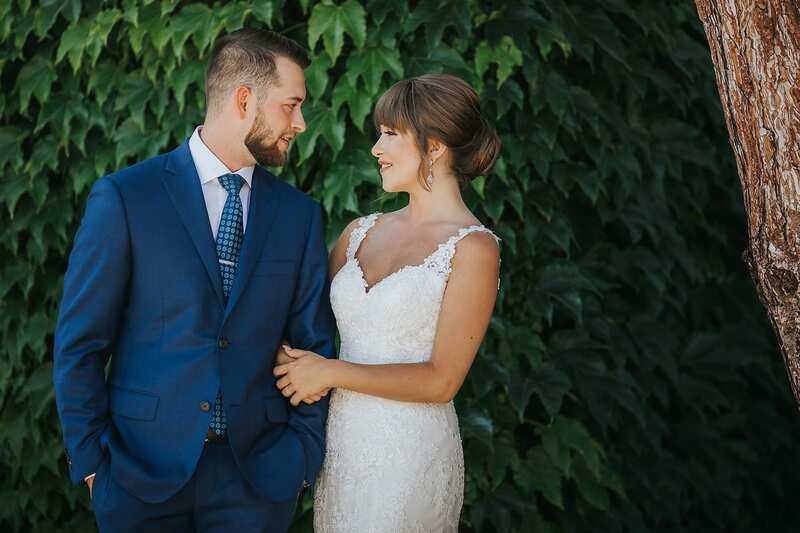 To view Lindsay + Dylan’s amazing mountaintop engagement session, Click Here! 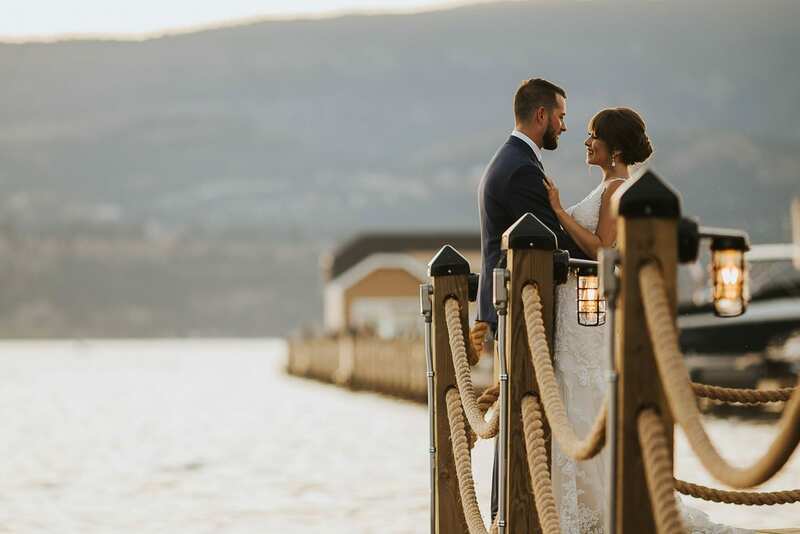 If you’re looking for an awesome Kelowna Wedding Photographer, follow us on Facebook and Instagram, we’d love to hear from you! 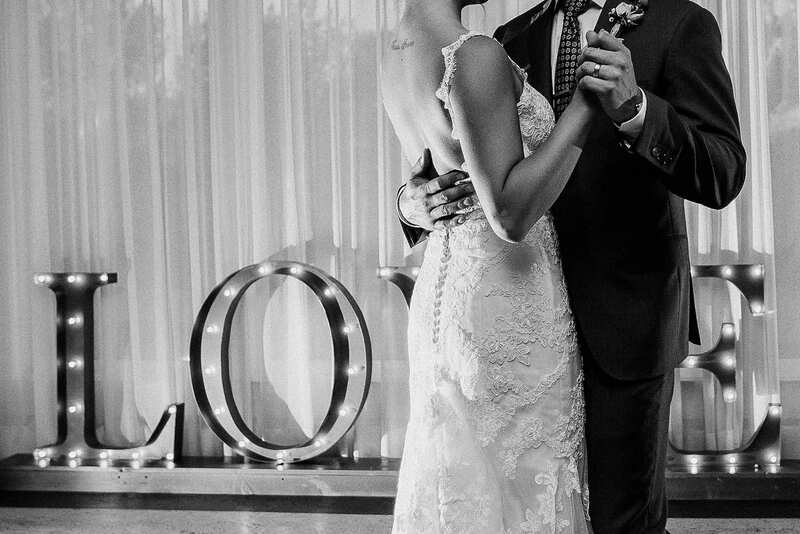 We'd love to hear from you and we'd love to be a part of your special day. 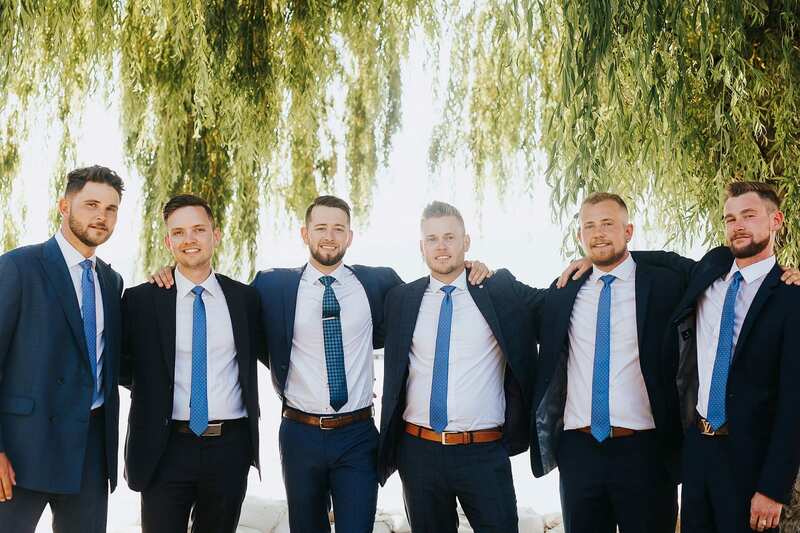 Use the form below to get in touch. 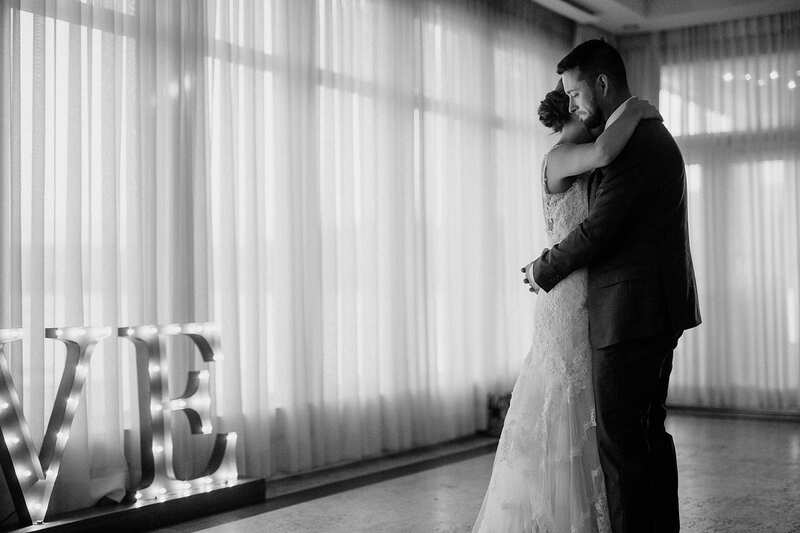 We'd love to hear from you and we'd love to be a part of your special day. 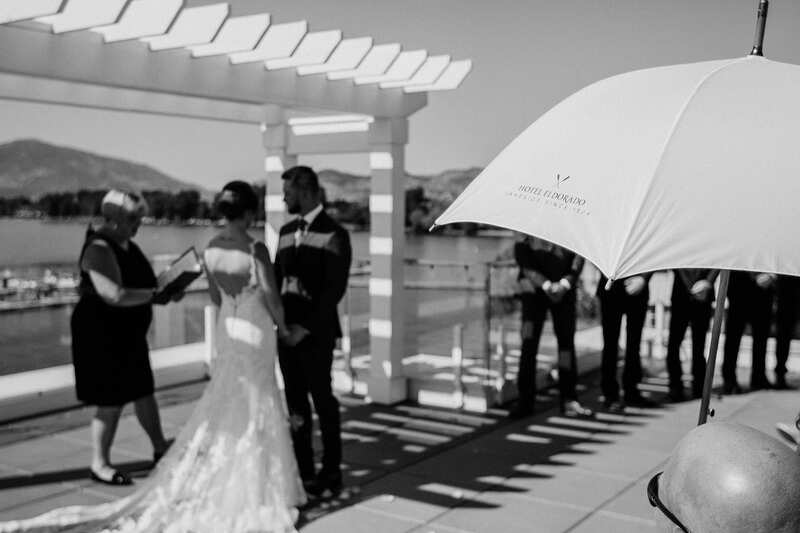 Web Design by Twirling Umbrellas.